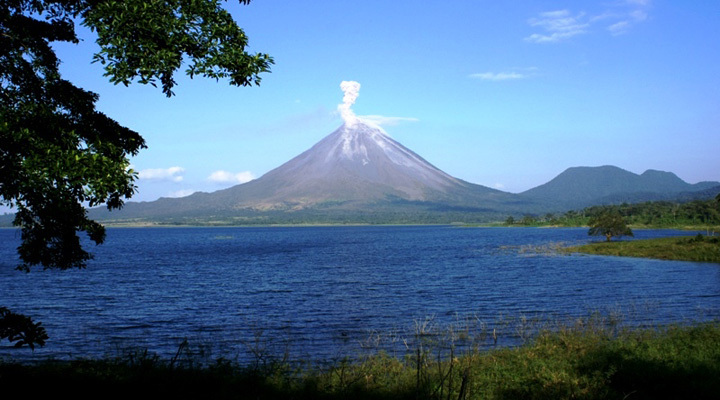 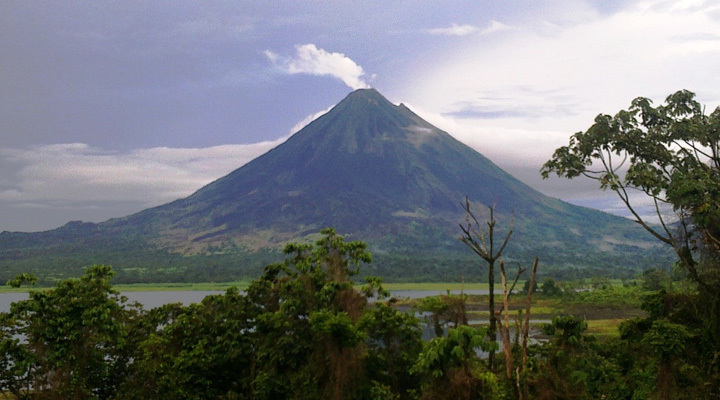 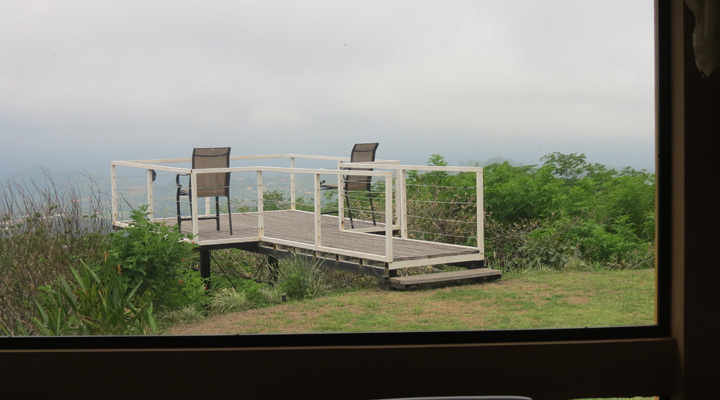 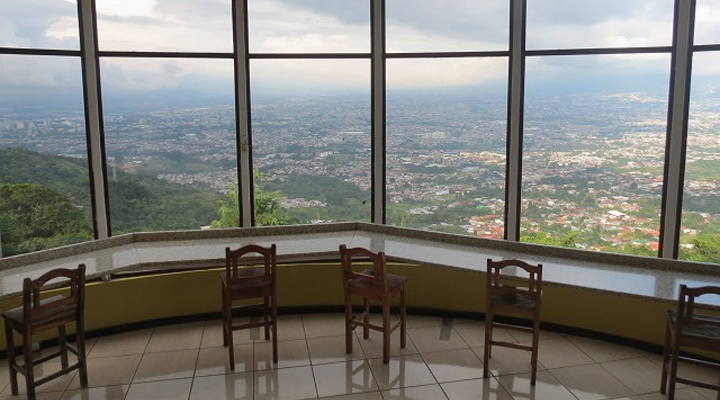 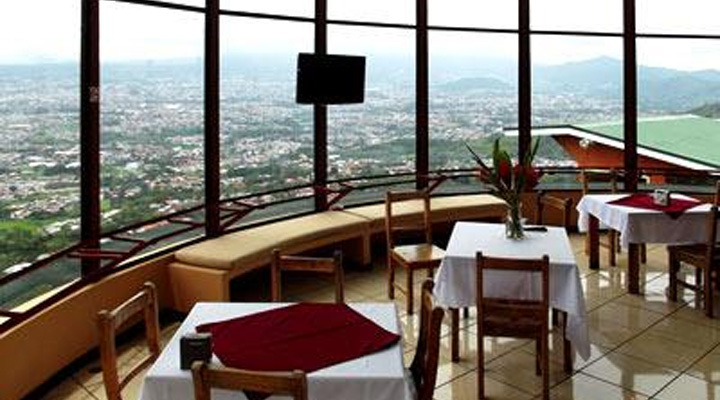 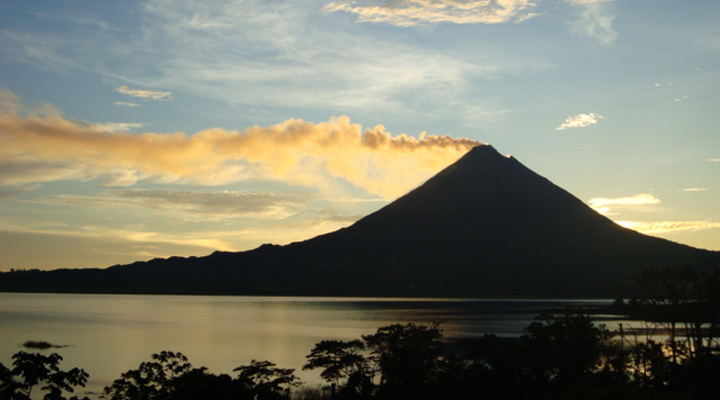 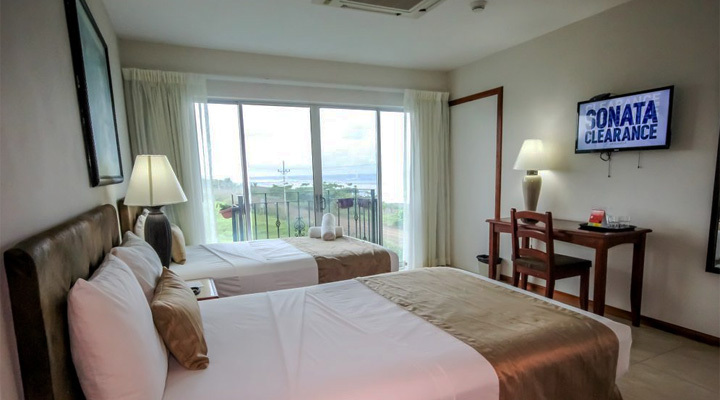 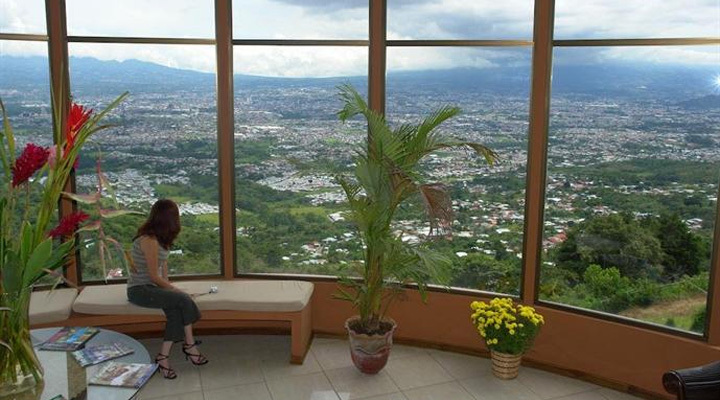 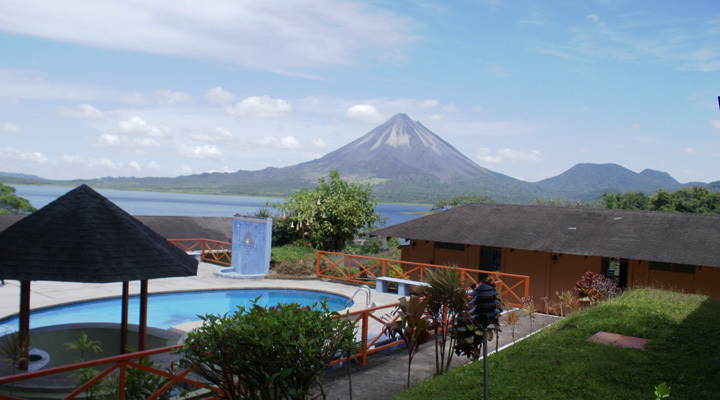 The Hotel took advantage of the natural beauty of the volcano so has, and consists of beautiful views from any balcony in each room. 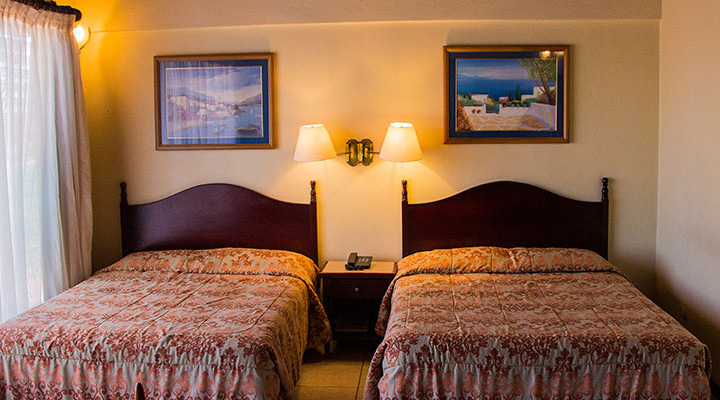 A breakfast is included in the rates. 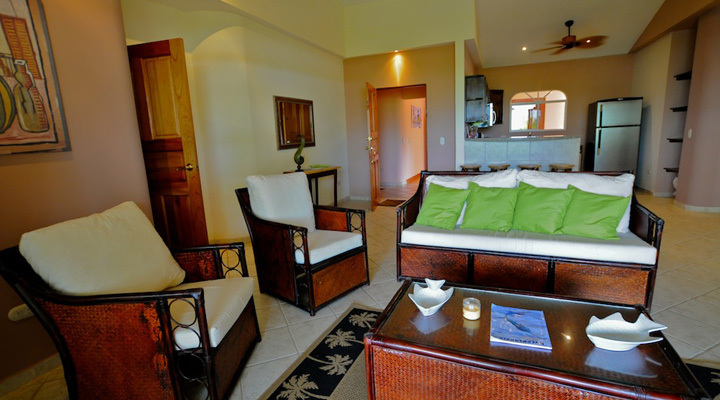 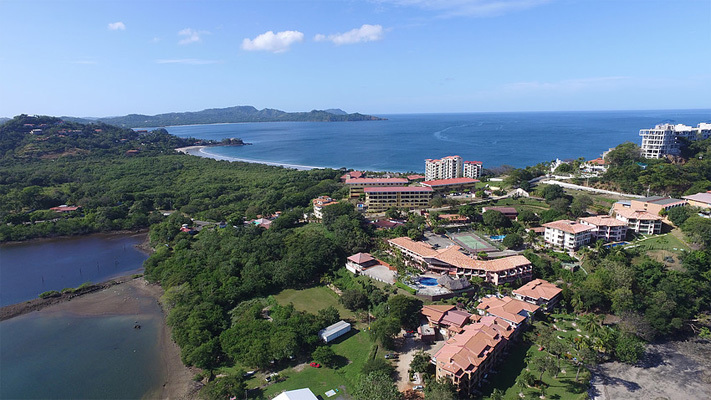 Azul Ocean Club is an 21 room oceanfront boutique hotel on Playa Azul, a heavenly location on the Guanacaste coast of Costa Rica. 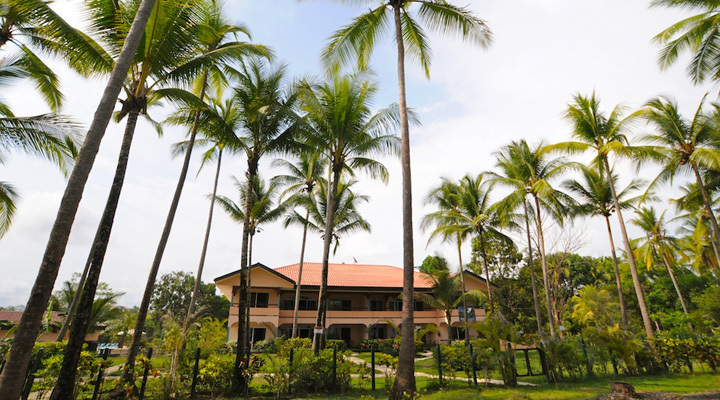 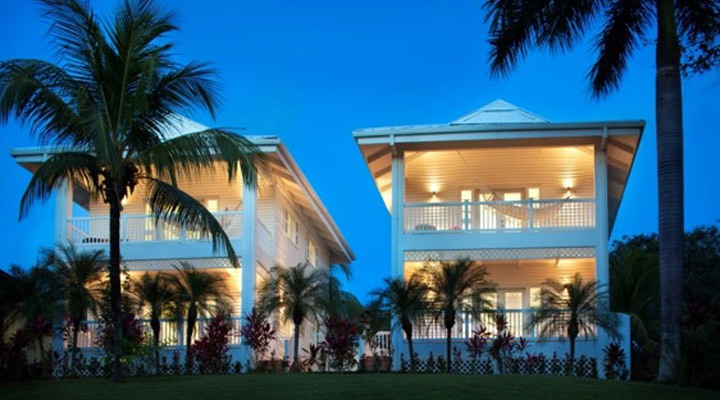 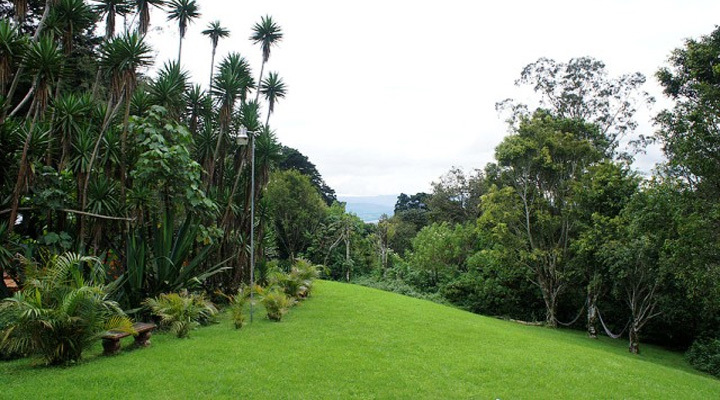 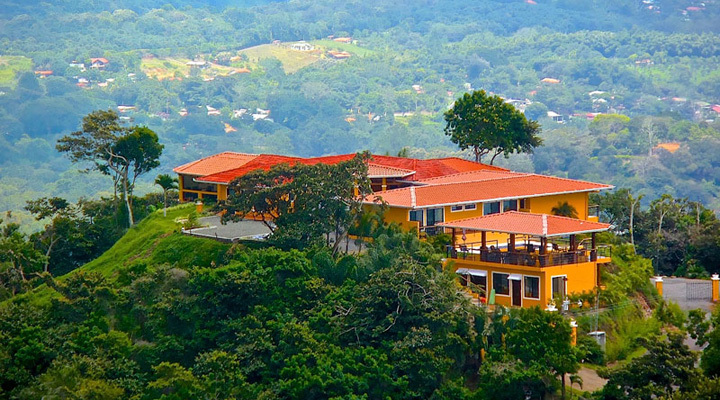 Surrounded by tropical forests and lush gardens, it matches beautiful scenery to a contemporary architectural design. 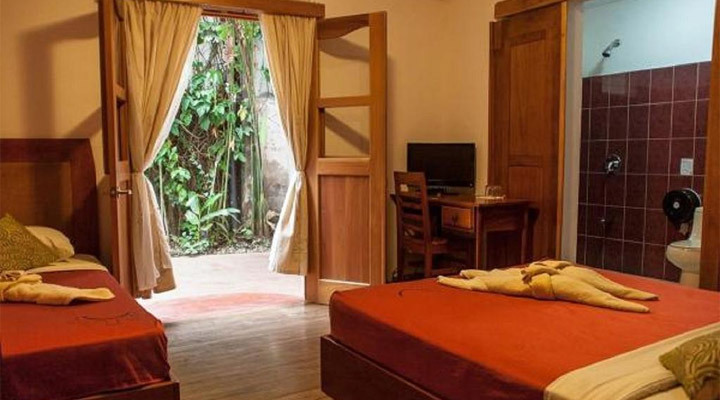 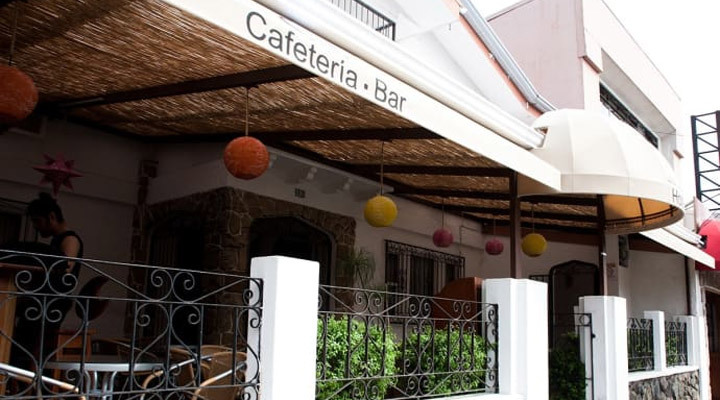 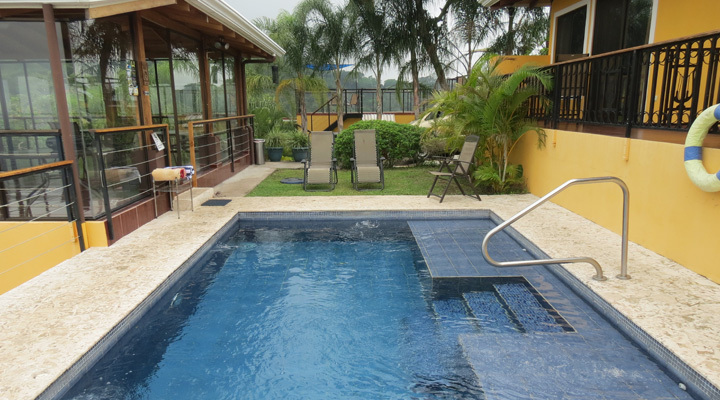 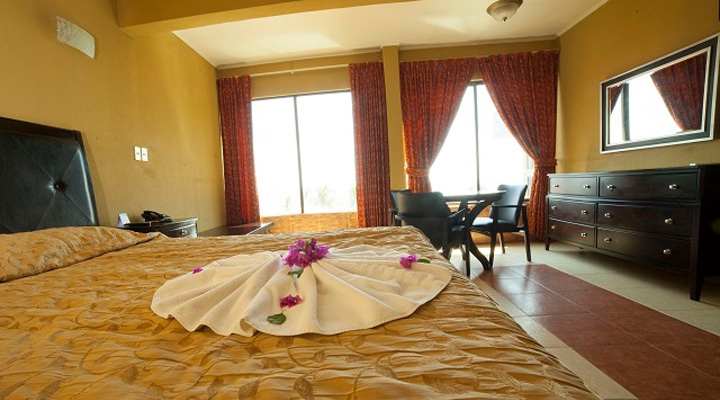 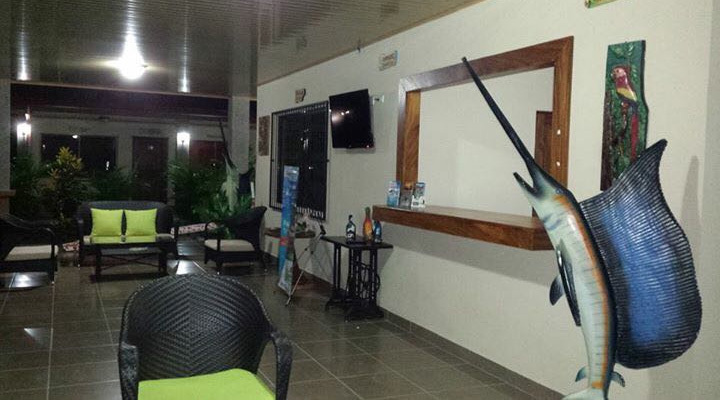 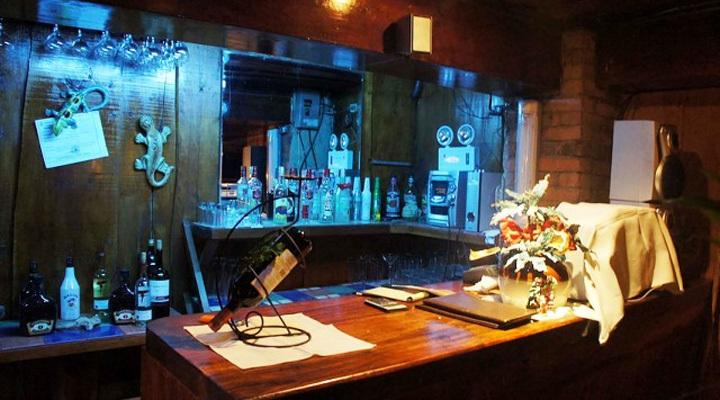 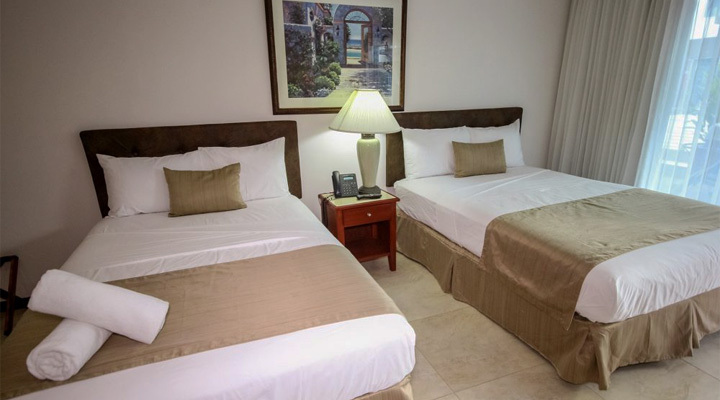 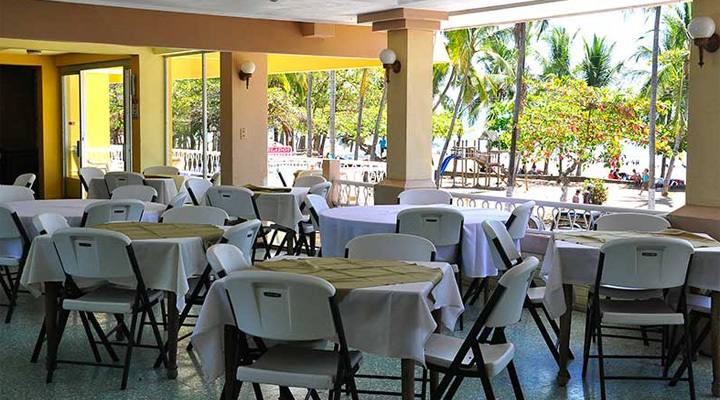 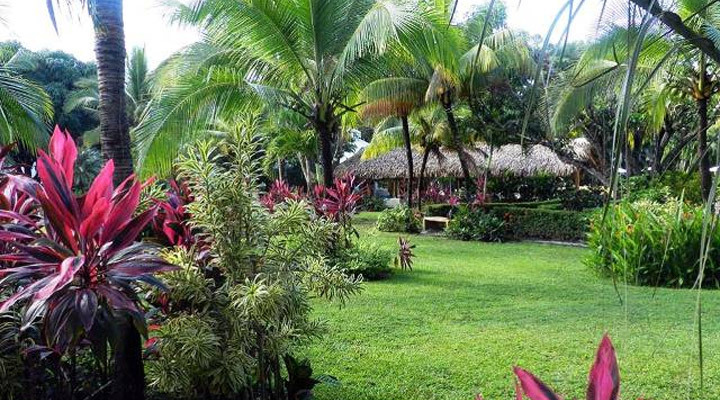 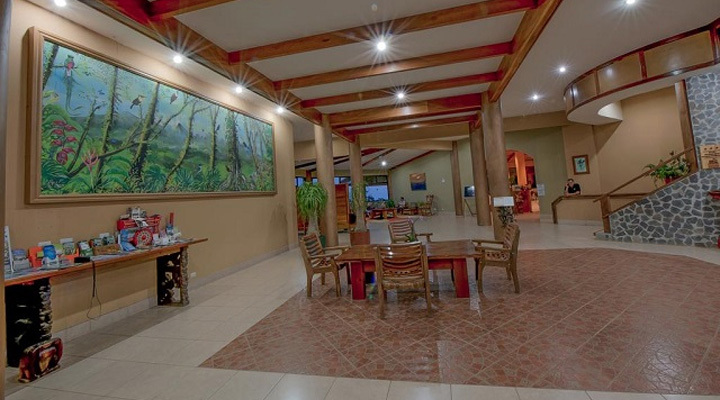 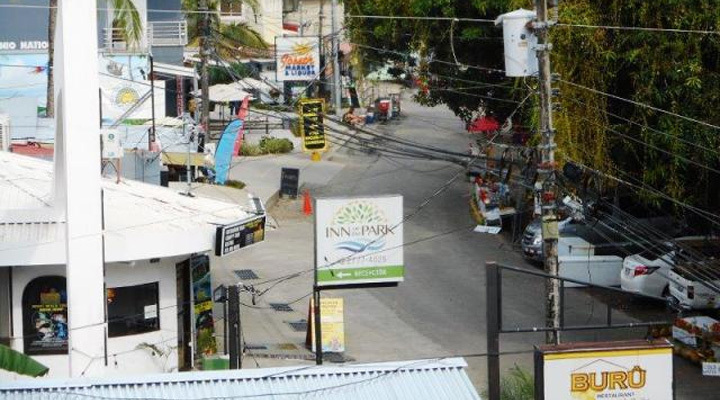 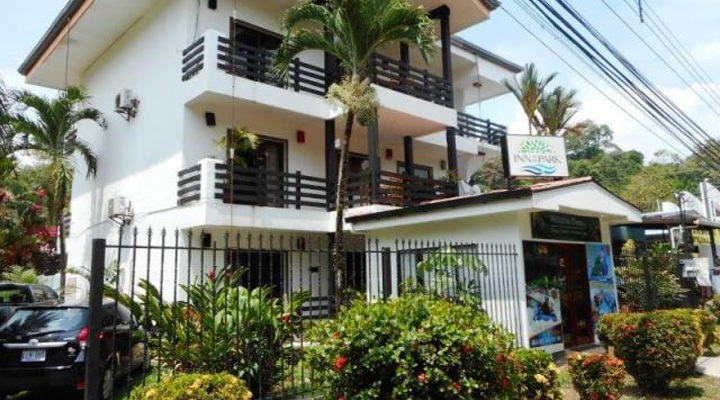 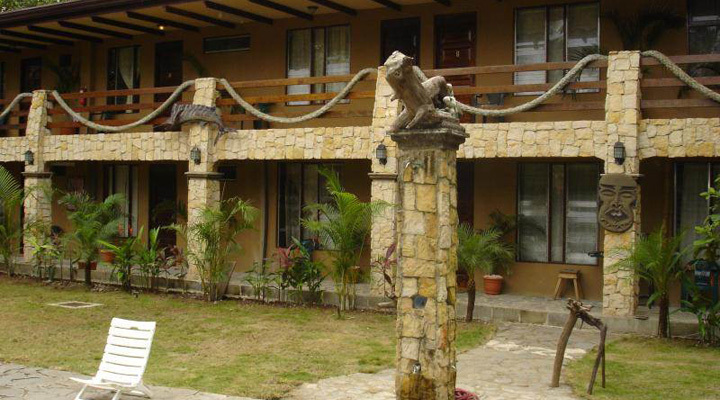 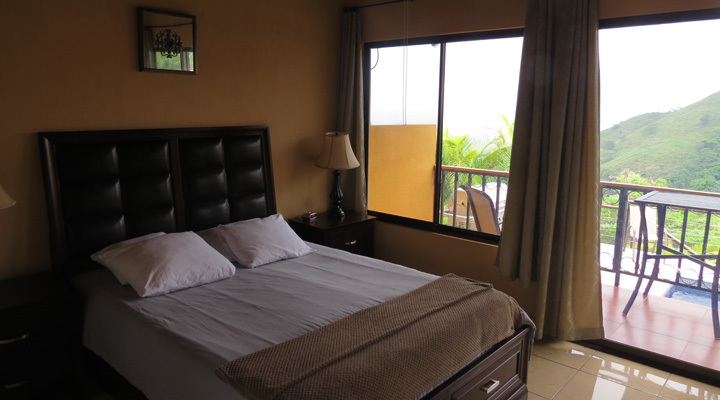 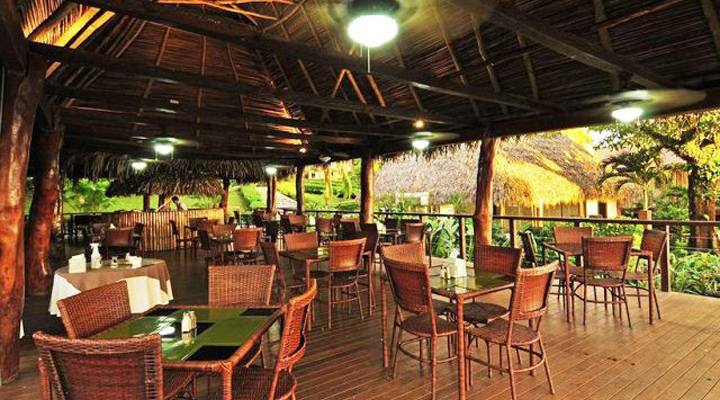 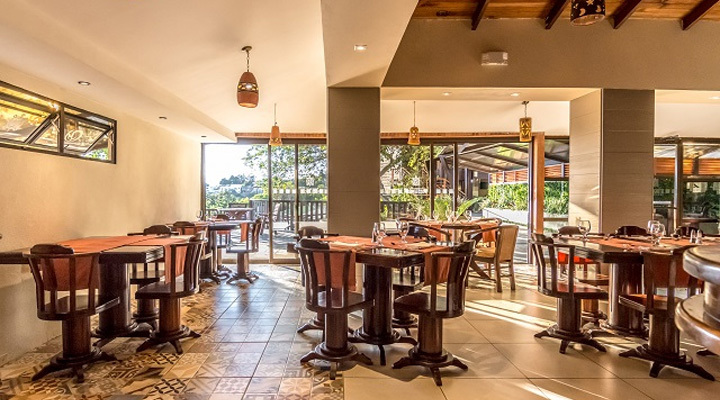 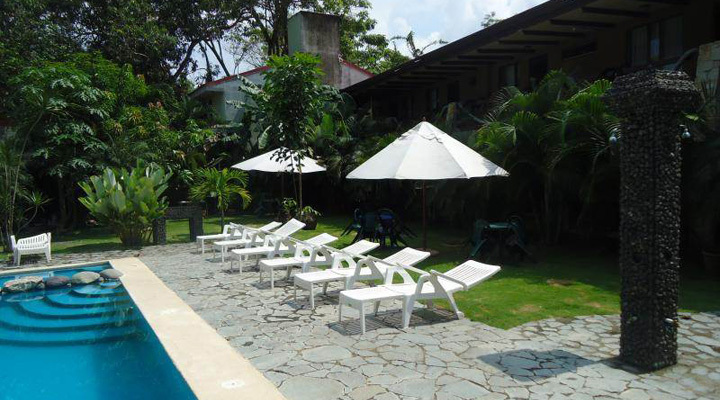 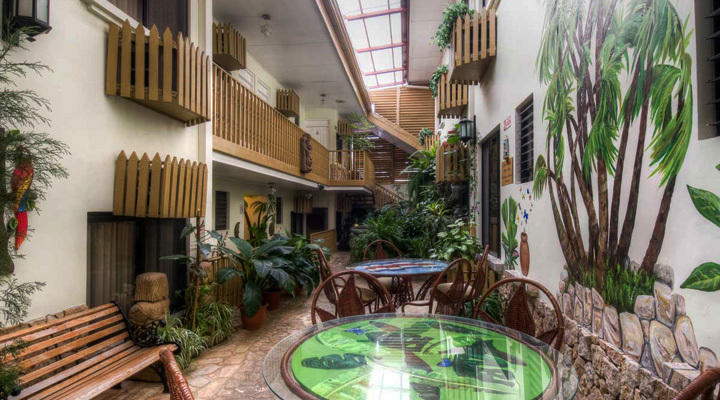 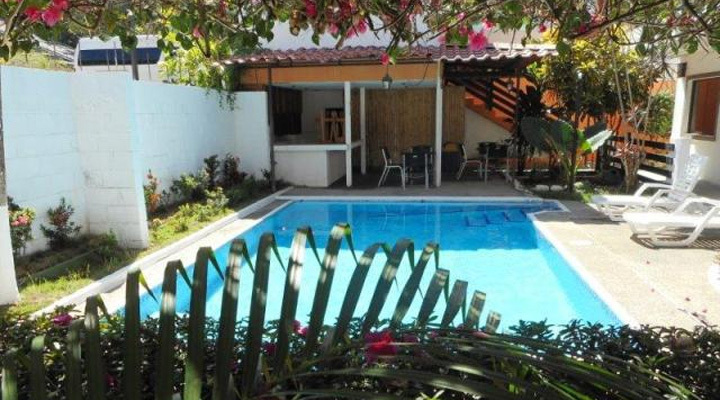 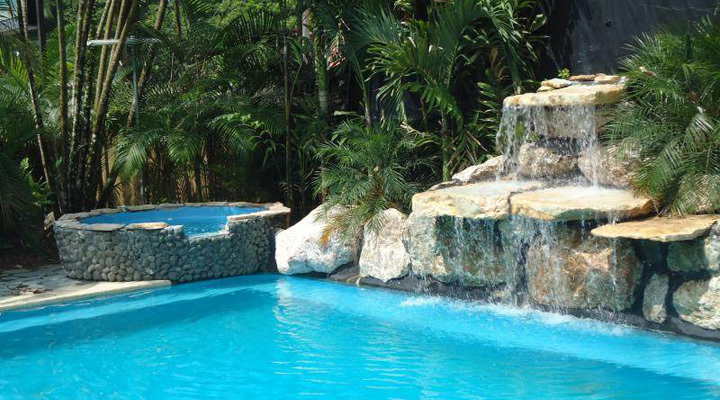 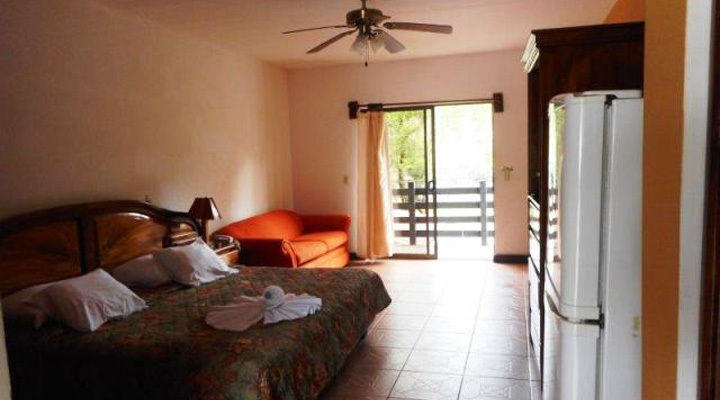 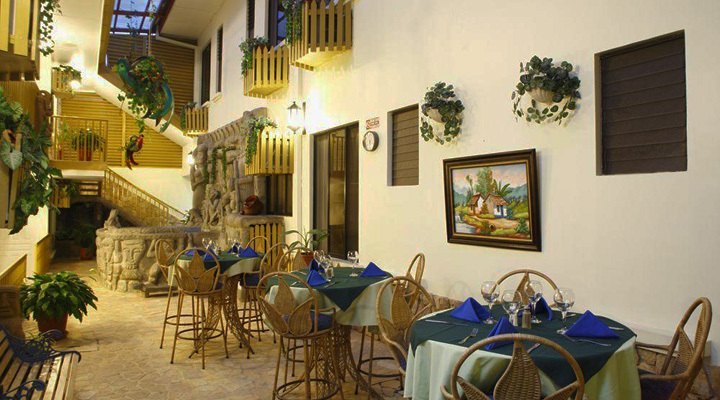 Located 250 meters from Manuel Antonio beach, 100 from the entrance to the National Park and just a short walk away from most of the popular restaurants, Inn on the Park is the ideal place to be. 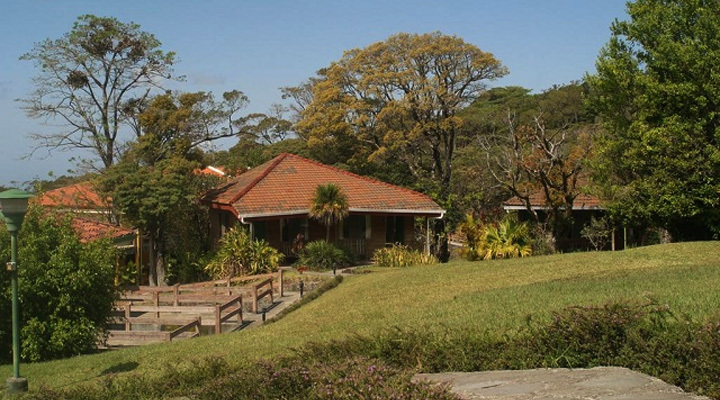 Great Location right in the National Park. 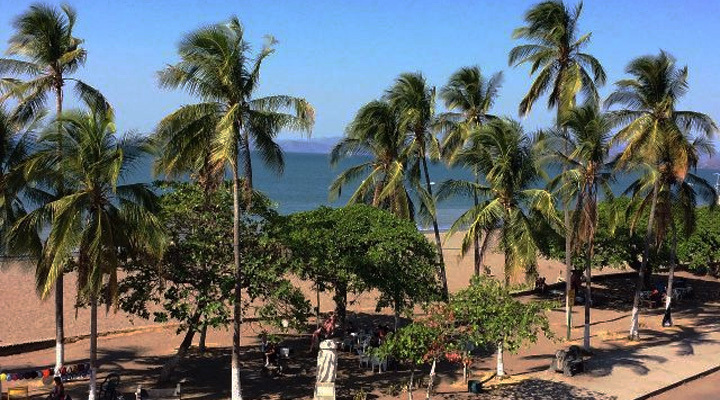 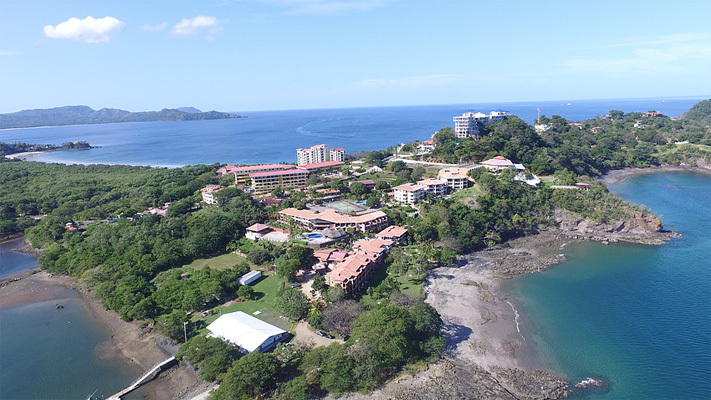 One of the few high rise classic popular hotels right in the center of Jaco Beach, the most popular seaside resort in Costa Rica. 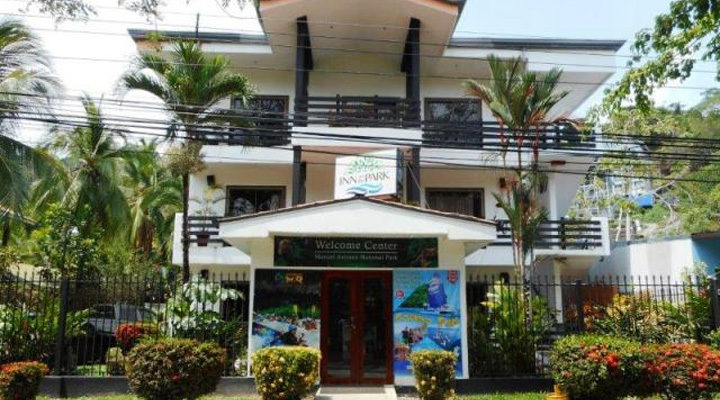 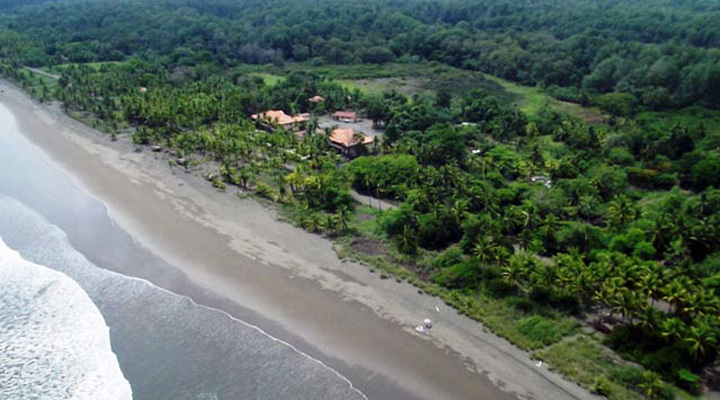 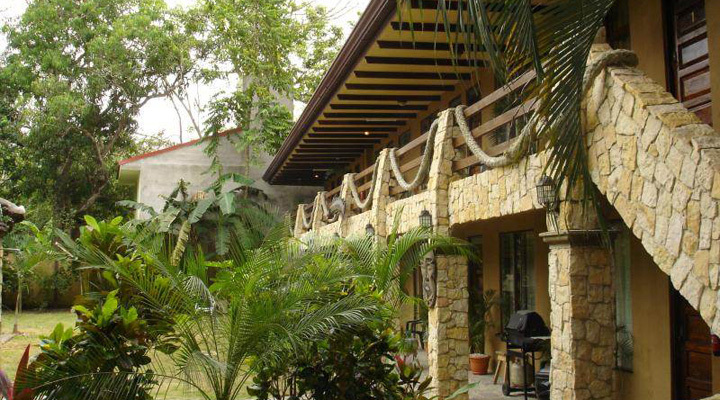 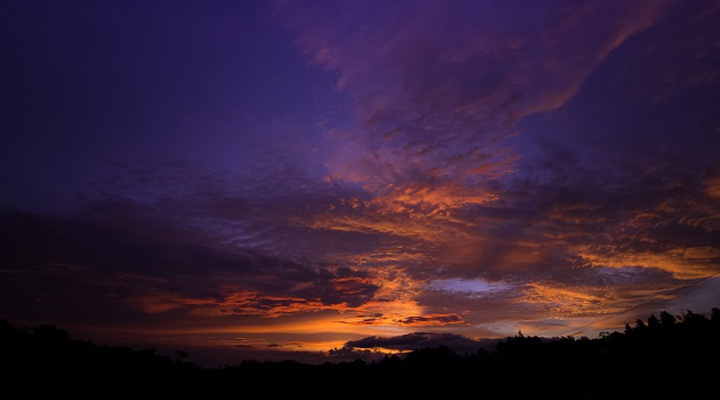 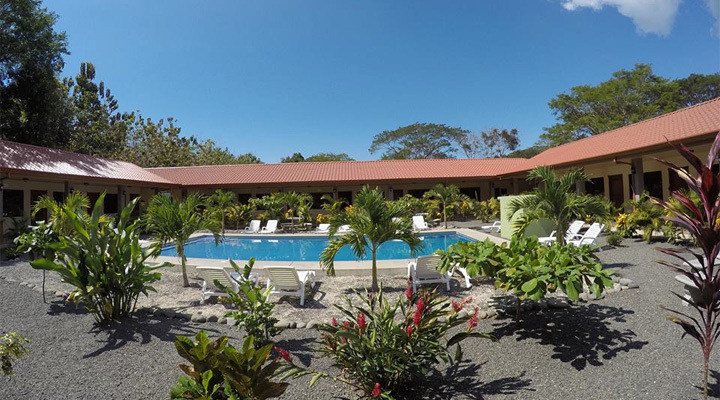 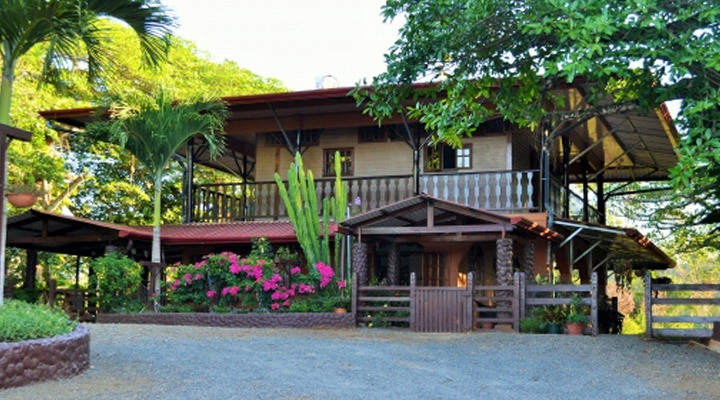 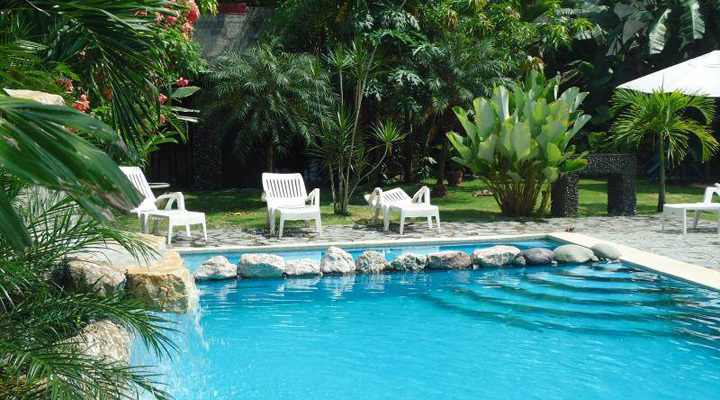 This Hotel is a modern and quiet hotel exclusively for adults and only 5 minutes’ walk from one of the best beaches in Costa Rica and also at the entrance of the famous Manuel Antonio National Park, the most visited park in Costa Rica. 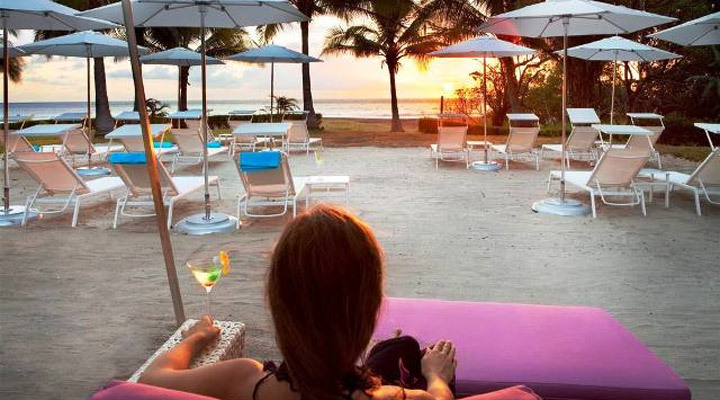 Tucked away on prized South Beach Jaco, this Small Hotel sits back a few feet from the beach surrounded by a quiet neighbourhood. 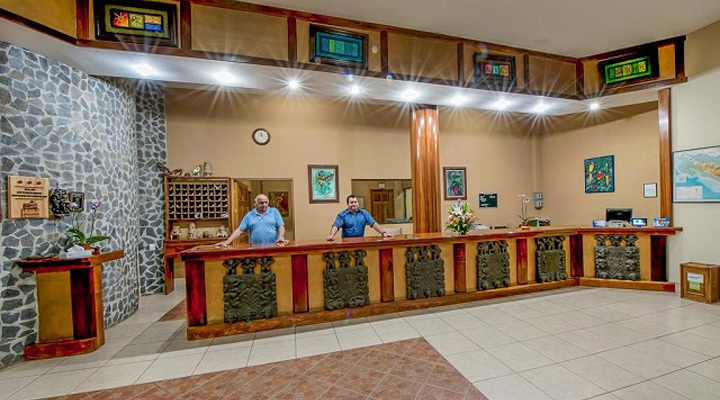 This hotel is presently a successfully operating business. 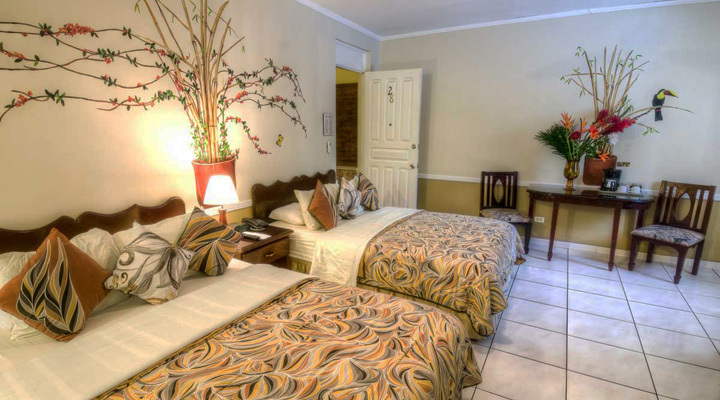 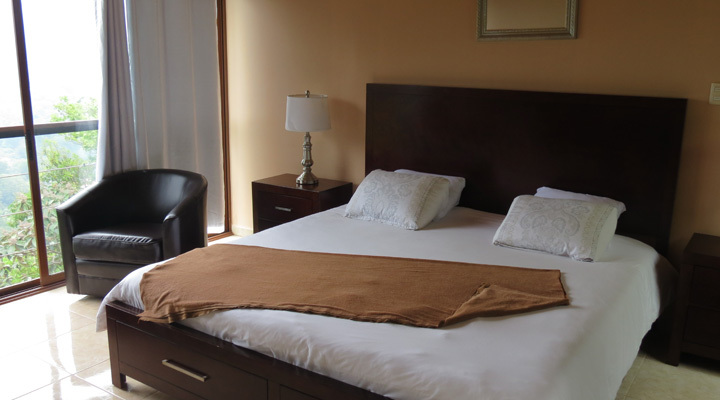 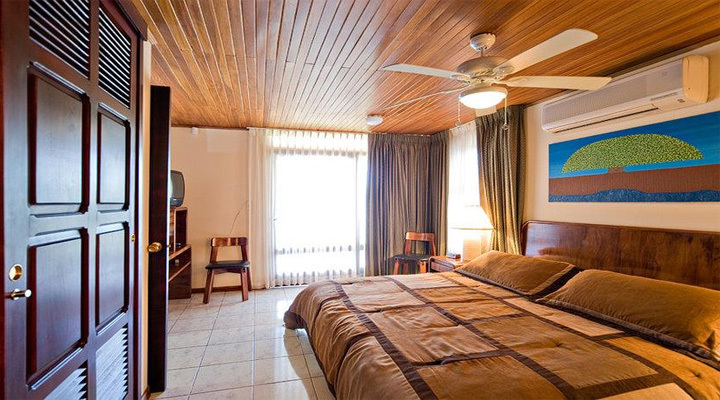 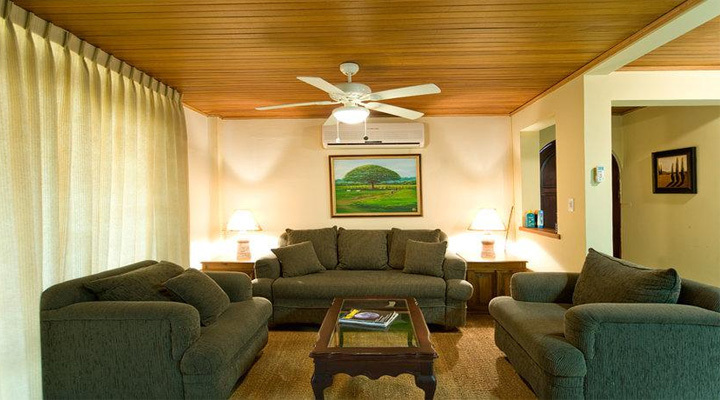 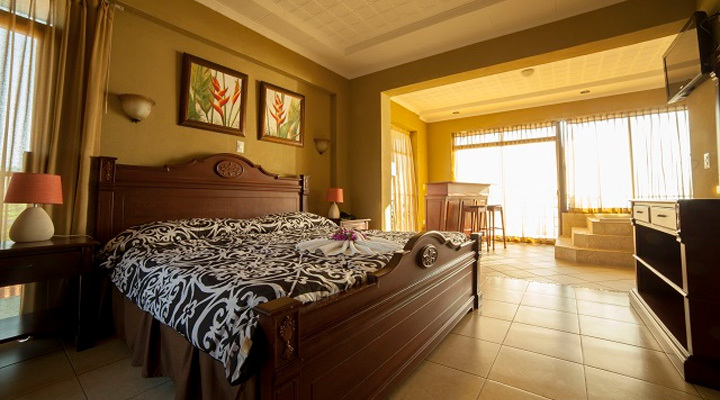 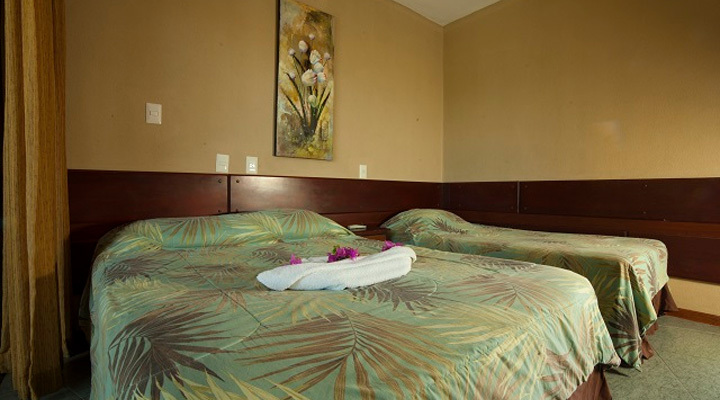 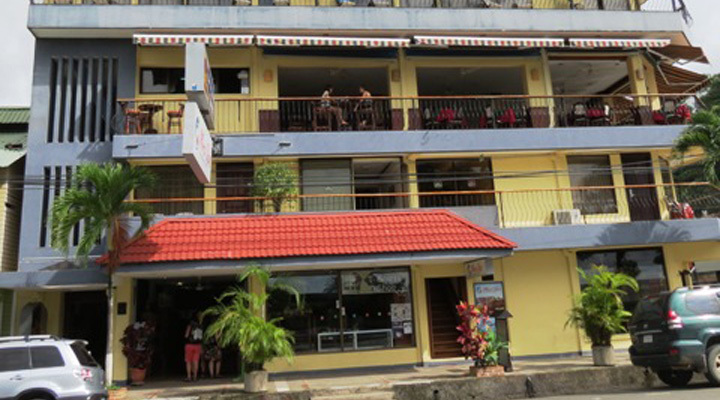 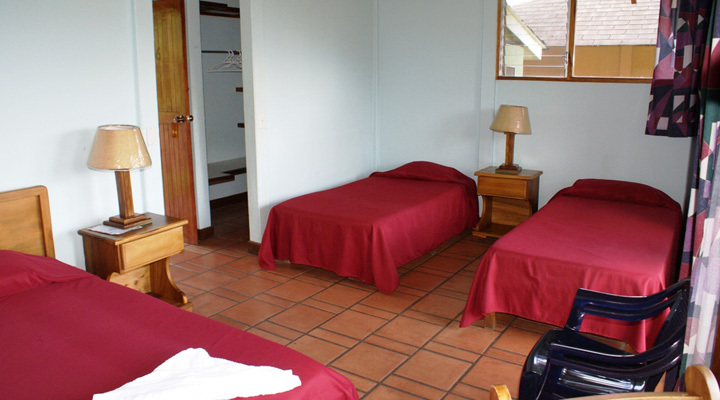 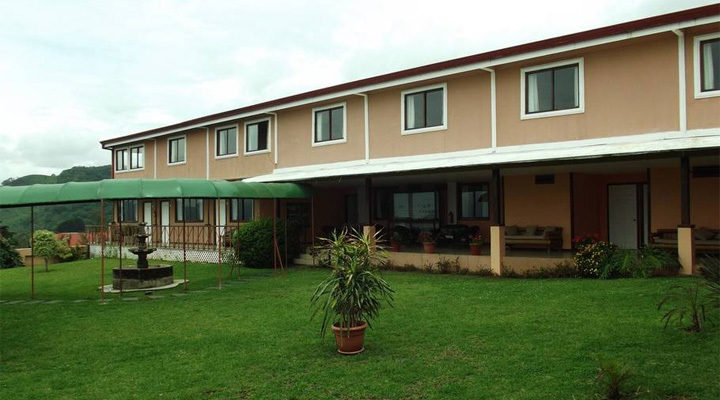 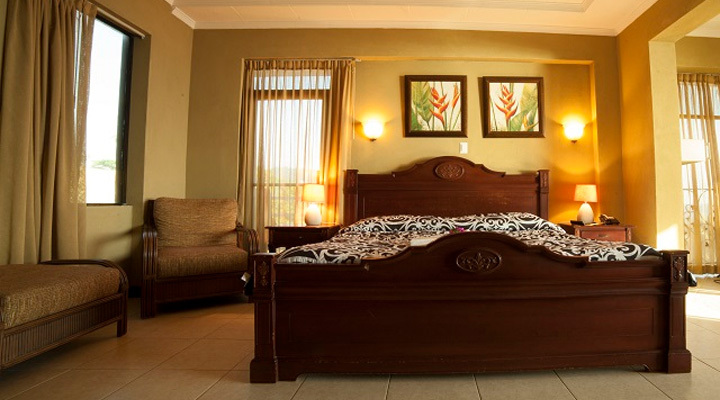 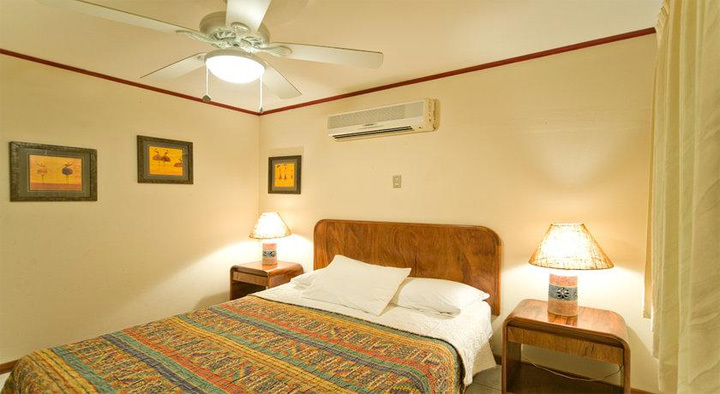 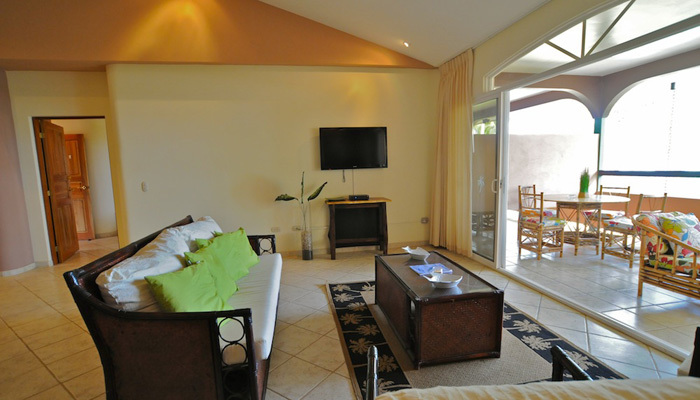 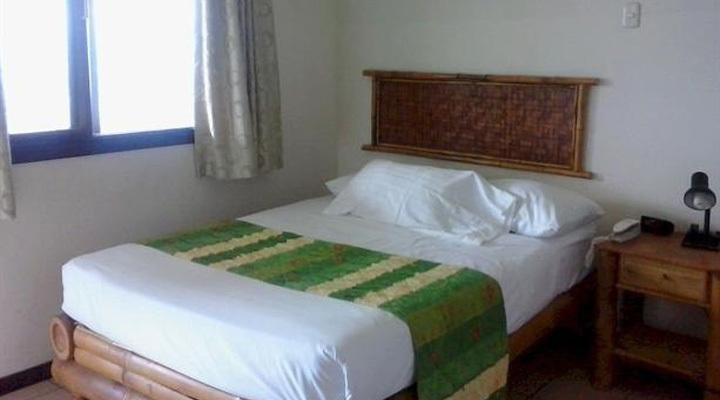 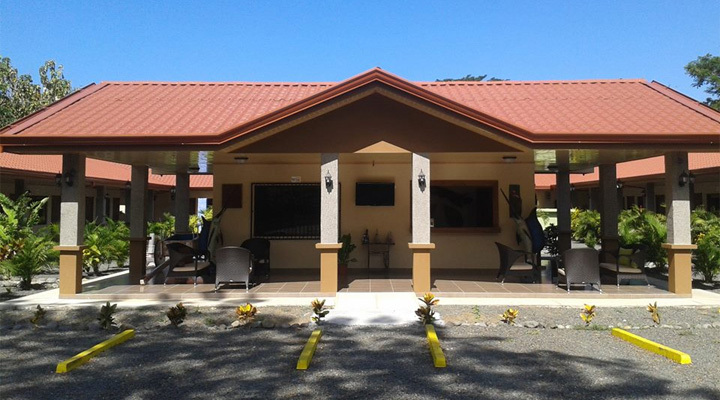 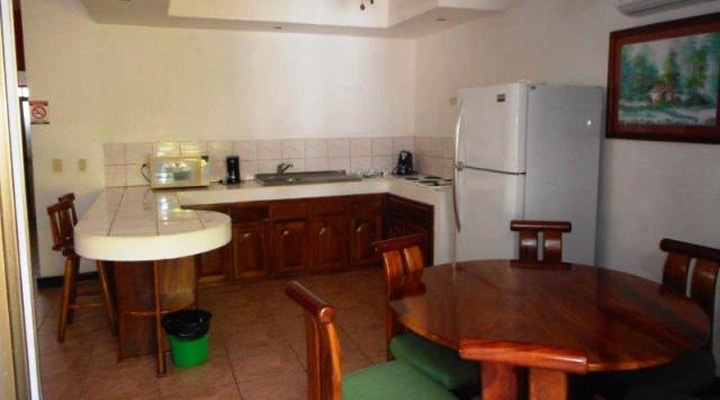 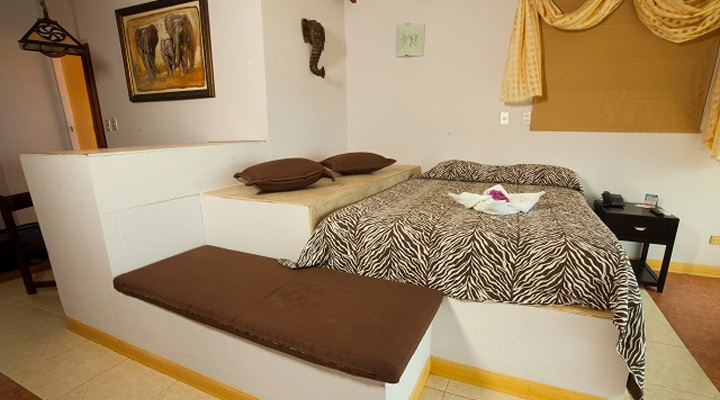 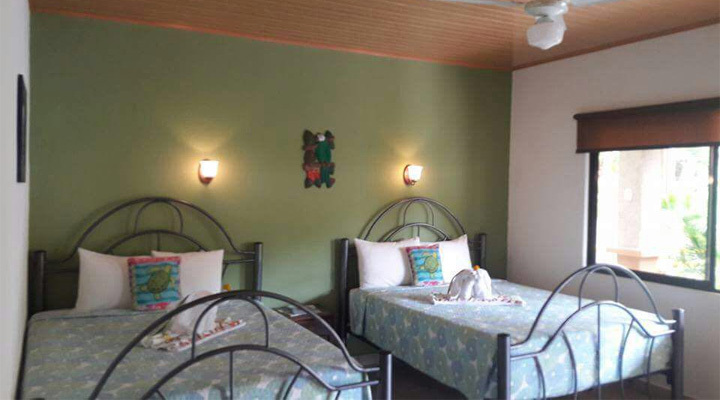 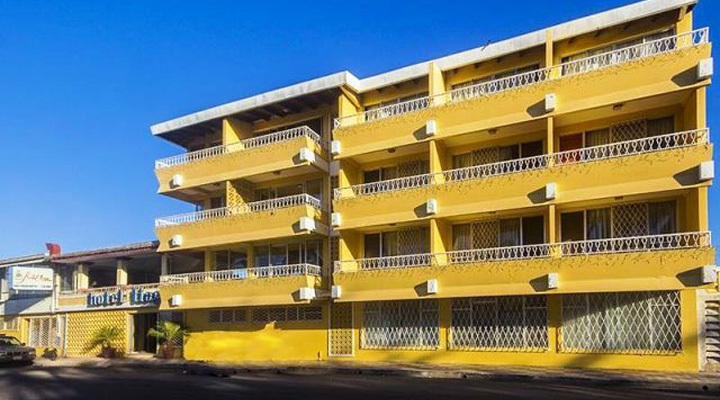 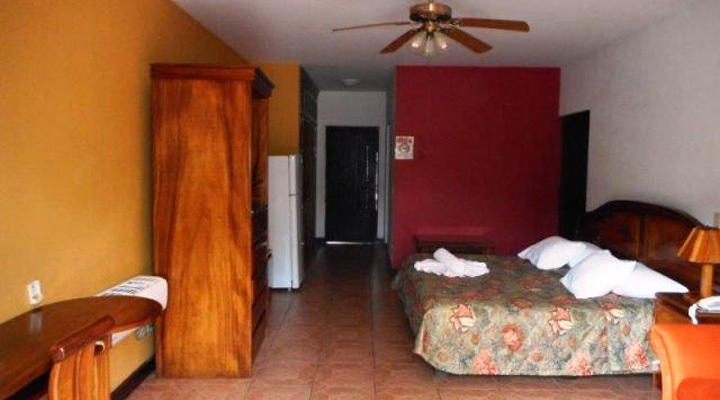 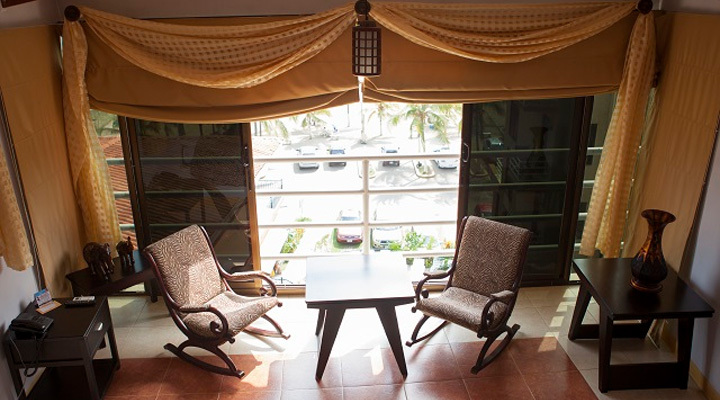 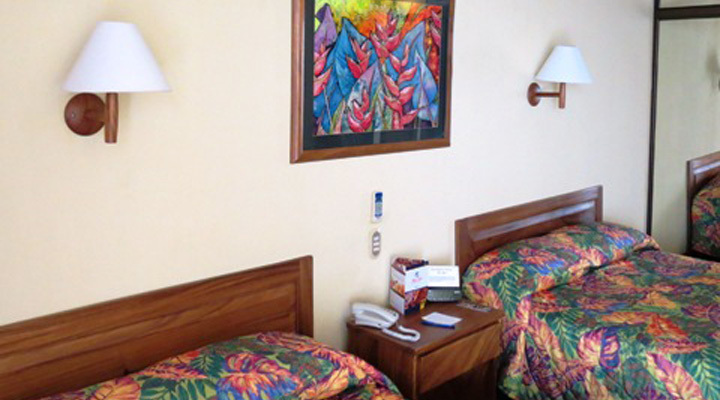 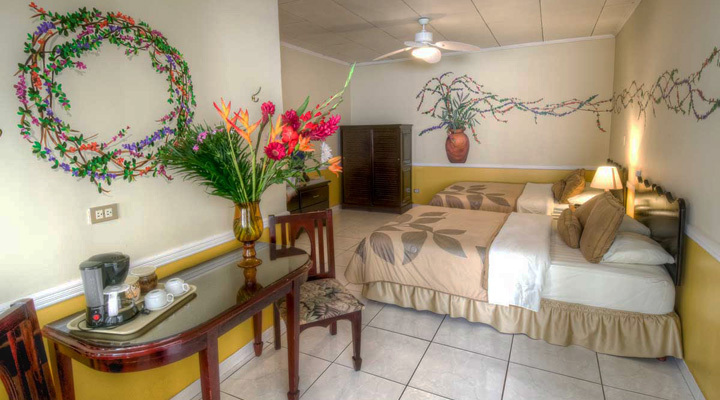 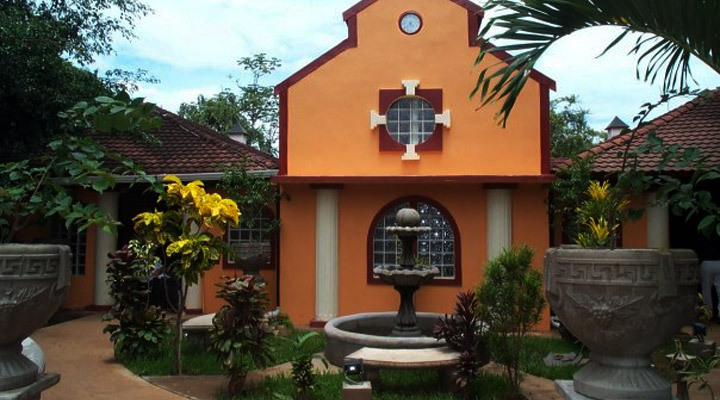 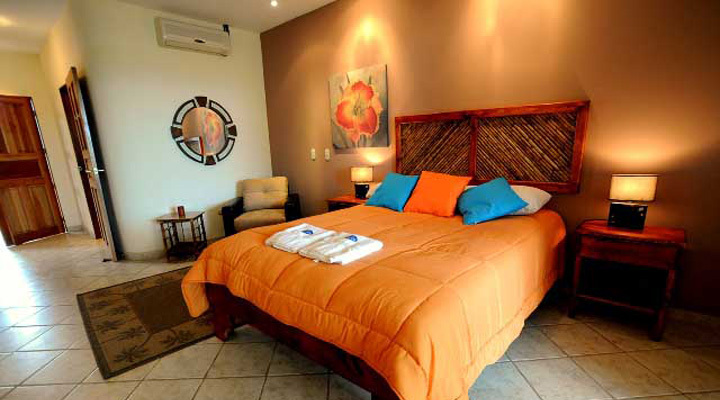 Seven small immaculate studios and five double rooms; each have cable tv, internet, a kitchenette and air conditioning. 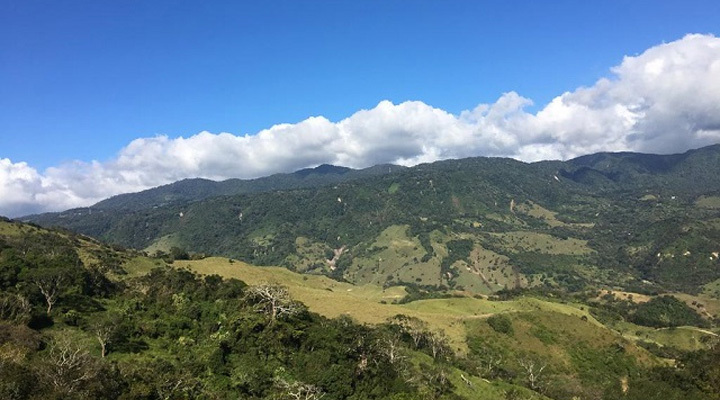 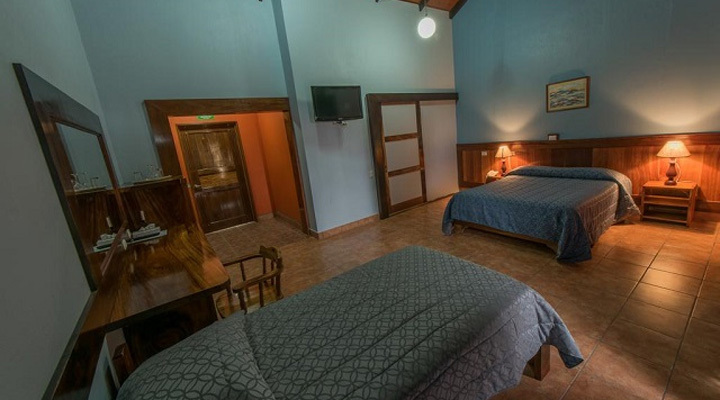 The 45 hotel rooms are comfortable and well-designed, providing you with every comfort you need after those long hikes in the Monteverde mountains. 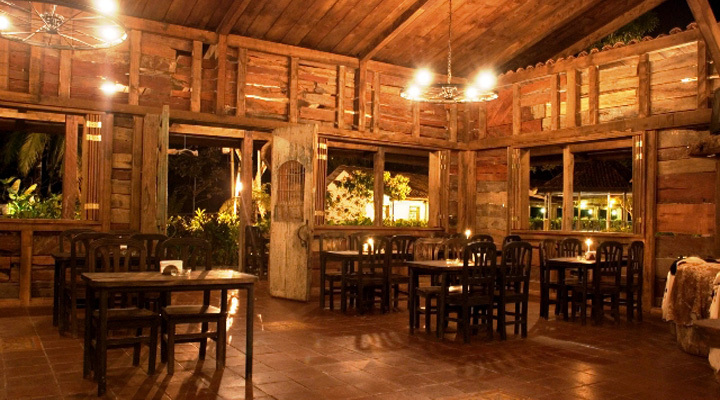 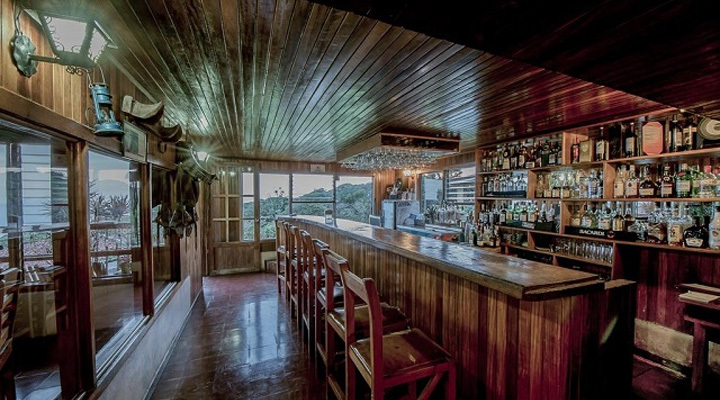 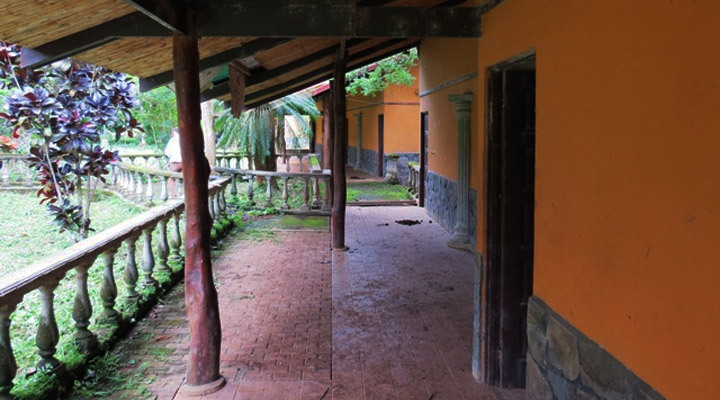 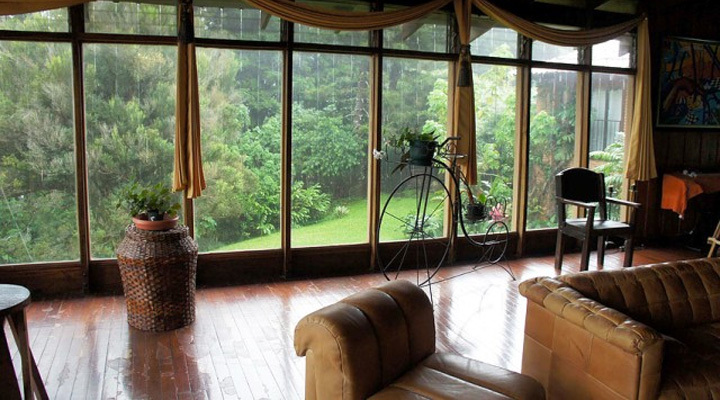 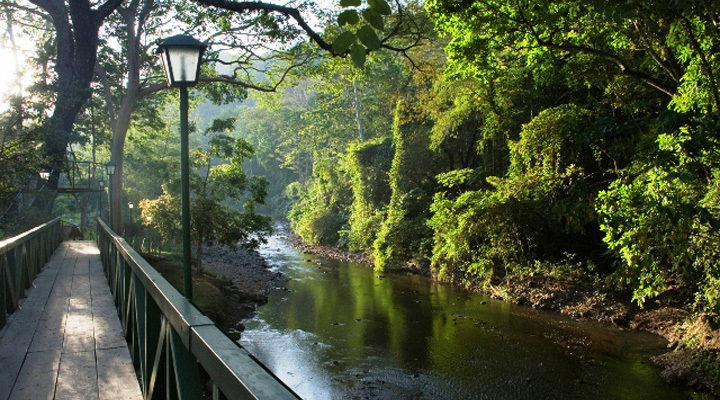 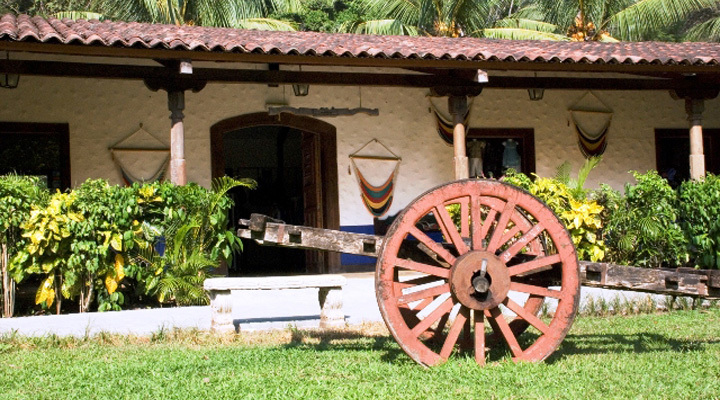 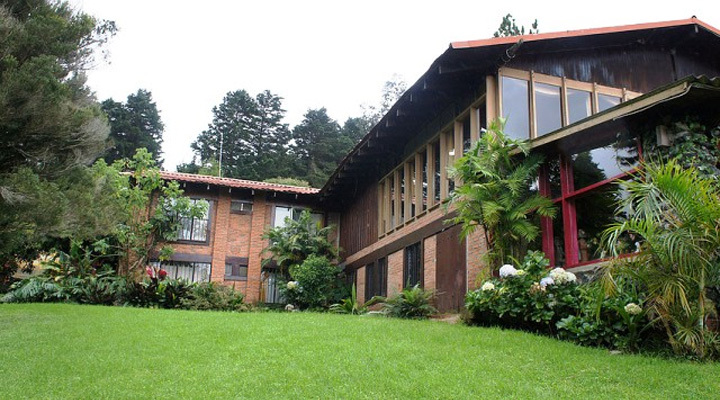 This Hotel is one of the oldest Hotels in Monteverde. 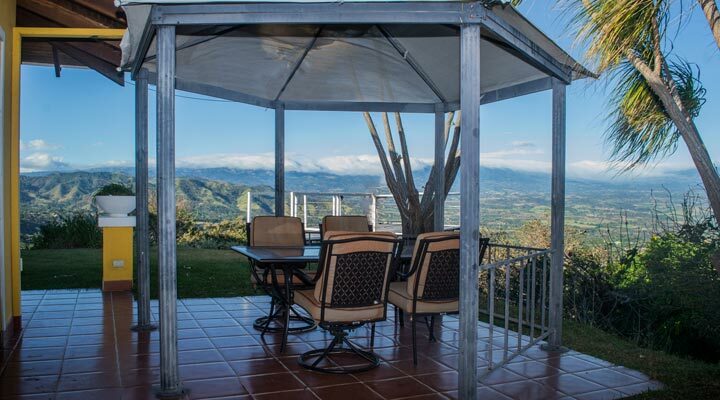 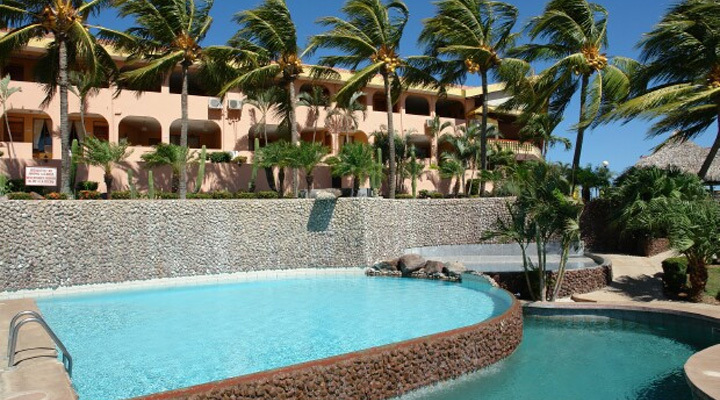 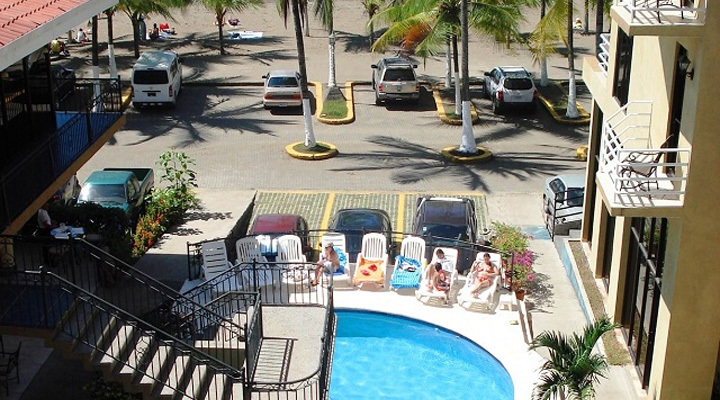 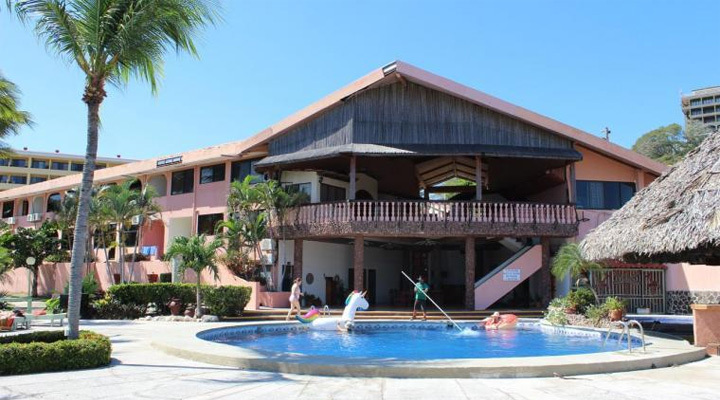 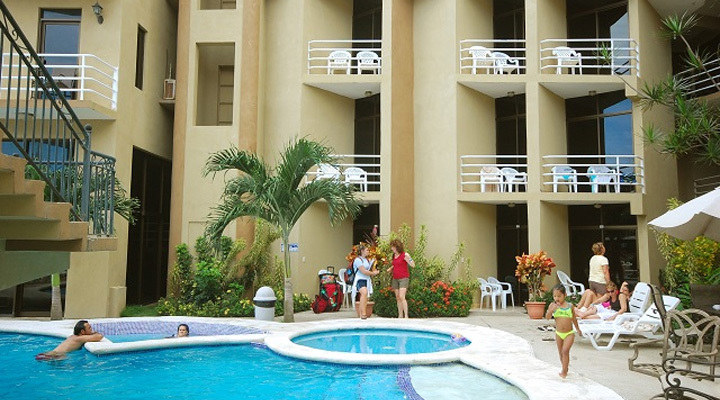 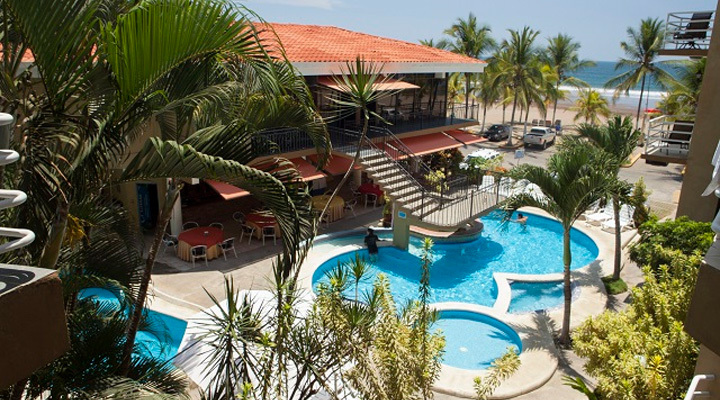 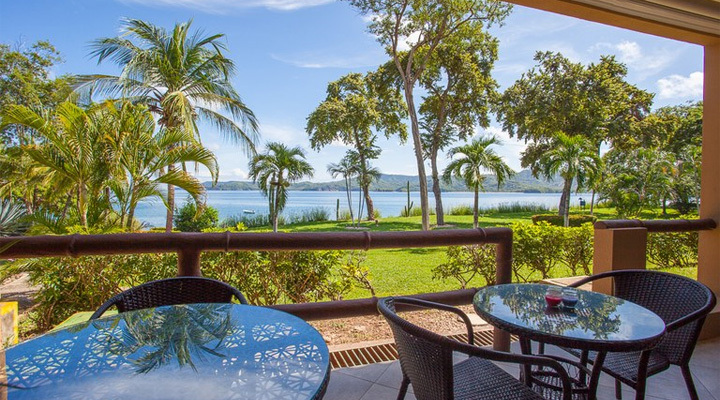 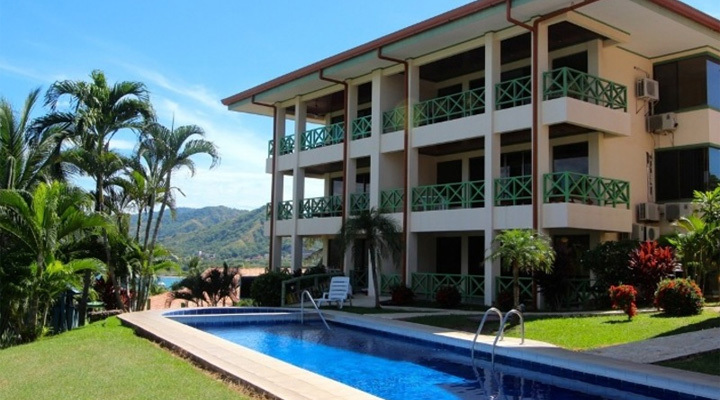 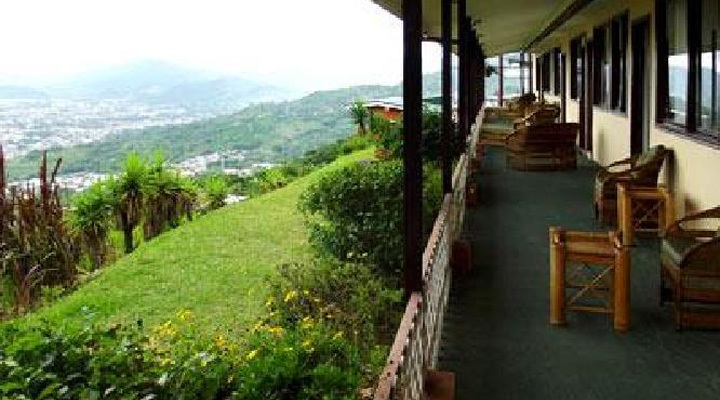 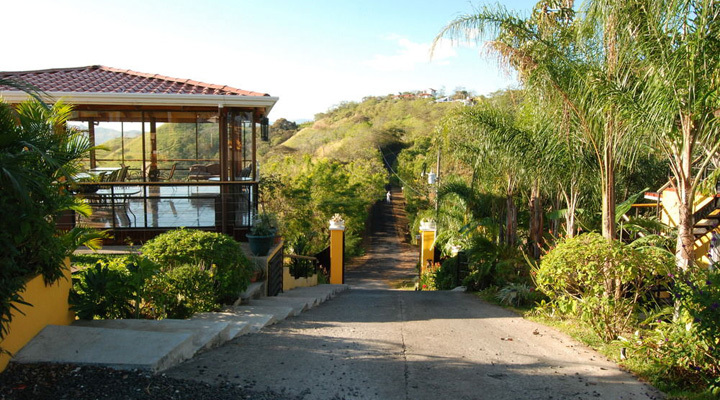 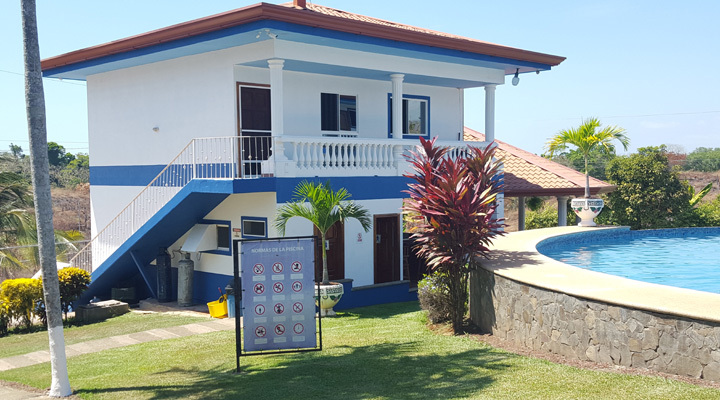 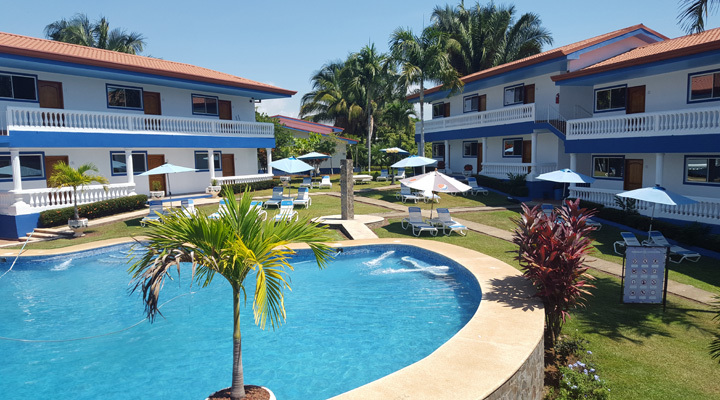 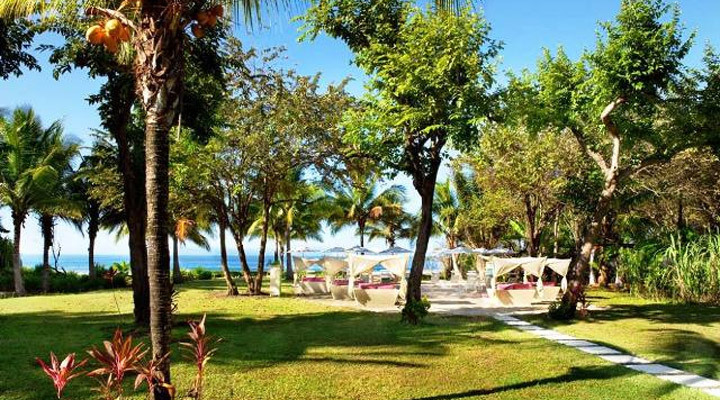 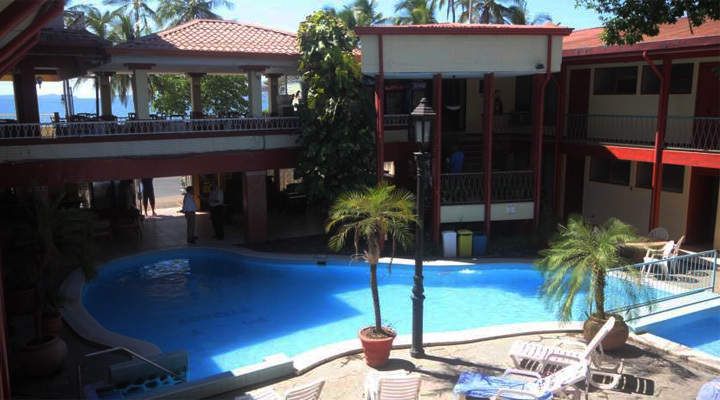 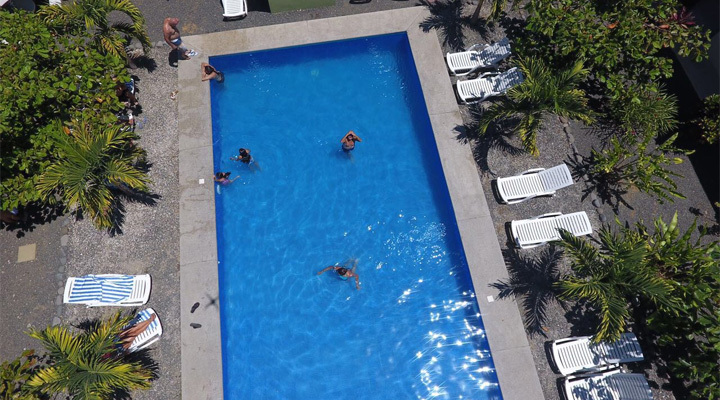 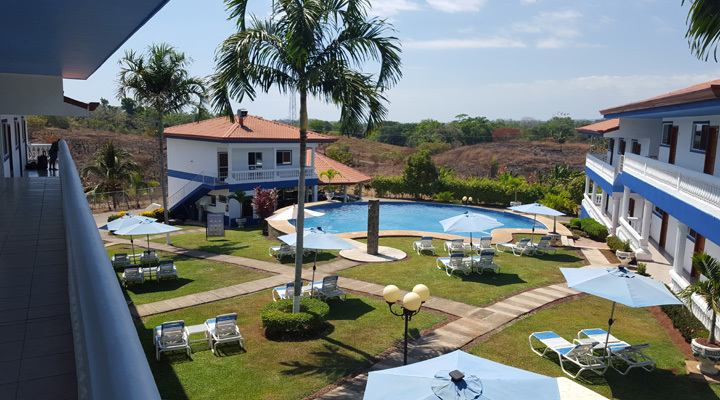 Hotel Guanamar is located on a hillside just 300 meters from Carrillo Beach, offers with spectacular panoramic views, an outdoor pool and extensive gardens .All rooms have private balconies. 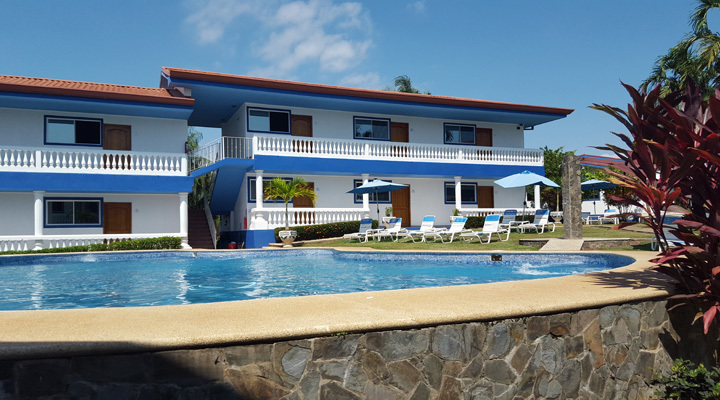 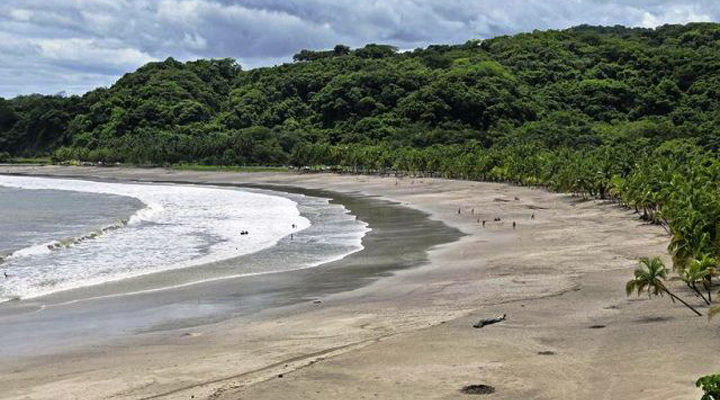 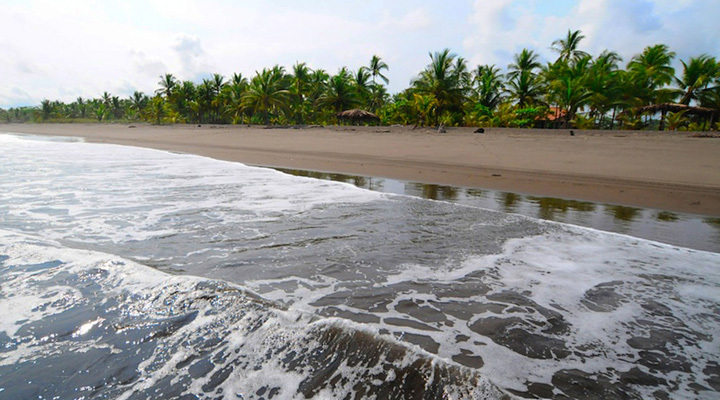 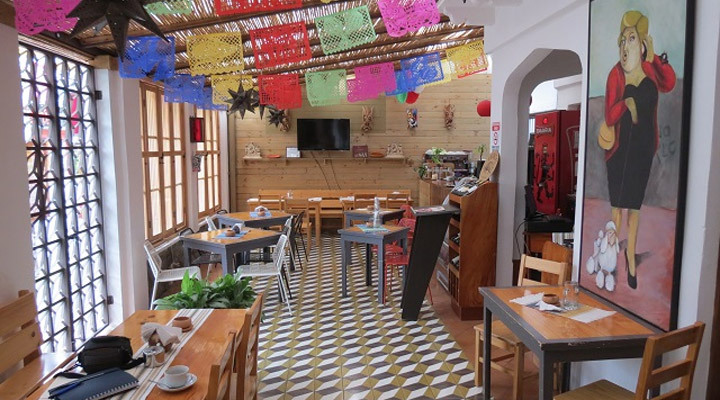 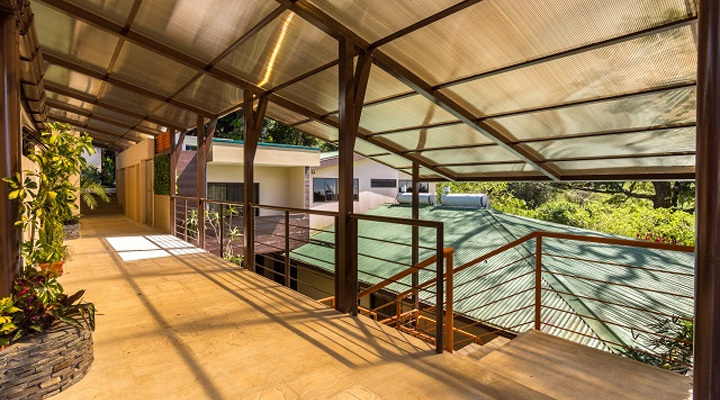 The stylish and modern hotel is located less than a mile (1 km) down a quiet road fronting the beach from the little community of Playa Hermosa. . "This is a nice change of pace from Jacó, which is more of a party/tourist city," wrote one traveler on TripAdvisor. 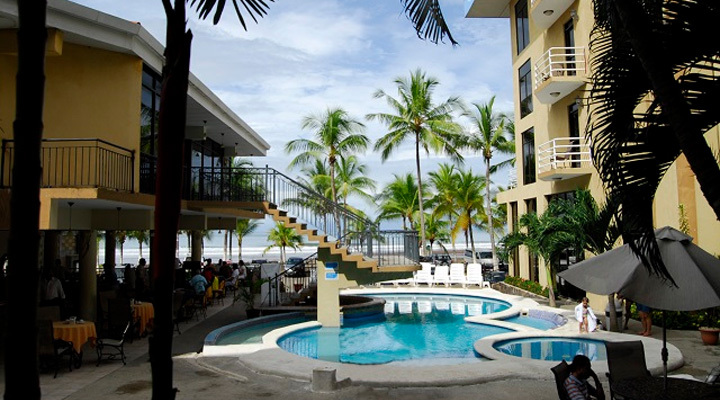 "If you took a big city hotel and put in on a small beach, it would be this place," wrote another guest. 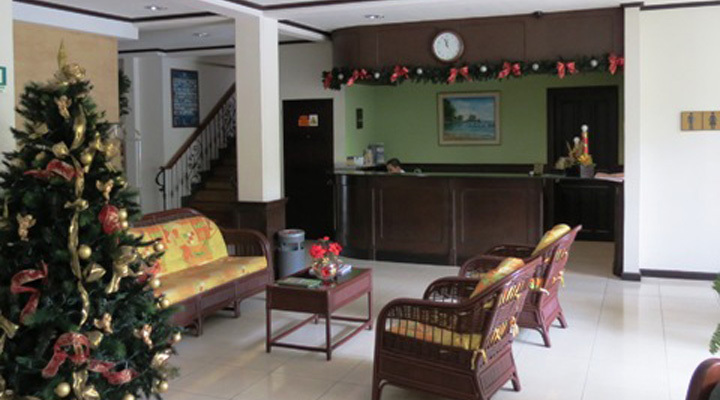 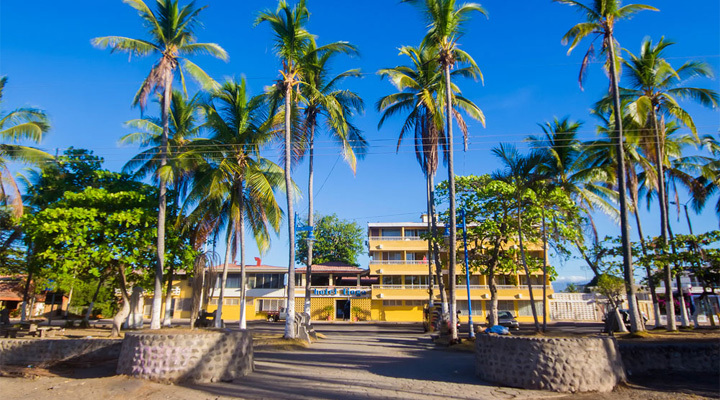 This beach front Hotel is the best of Palo Seco. 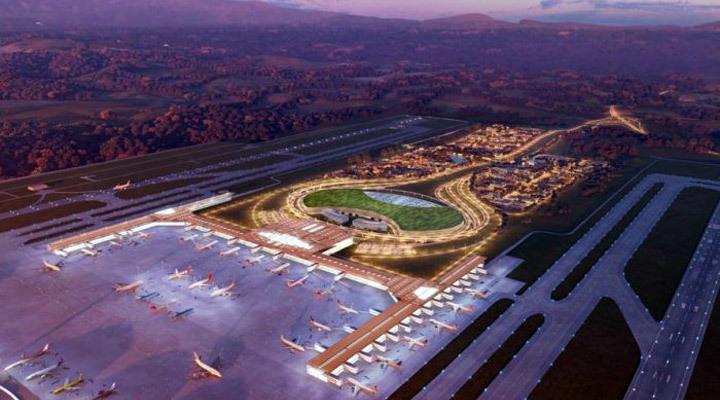 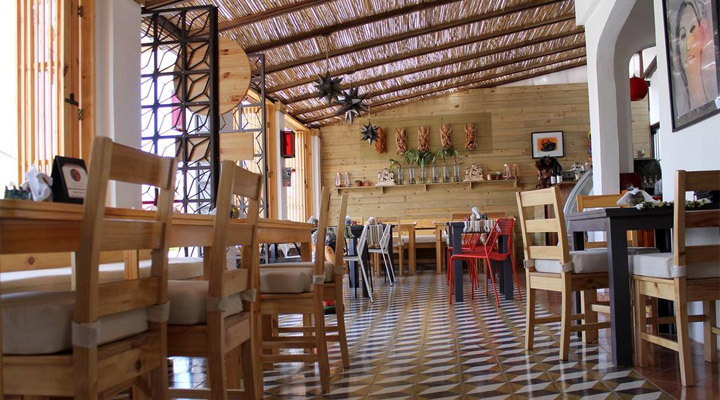 Cocomar’s proximity to everything makes the choices ample, diverse and exciting. 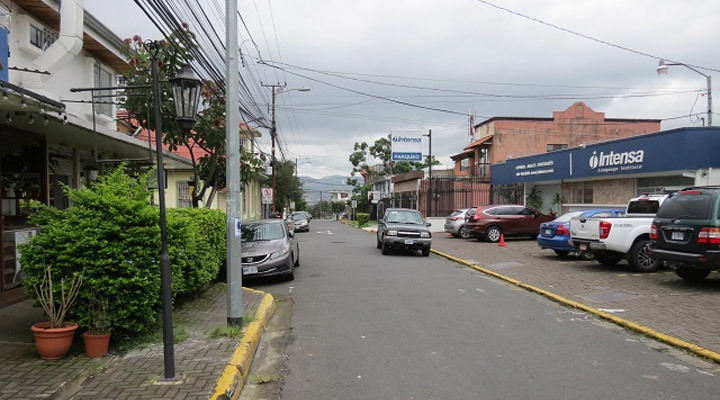 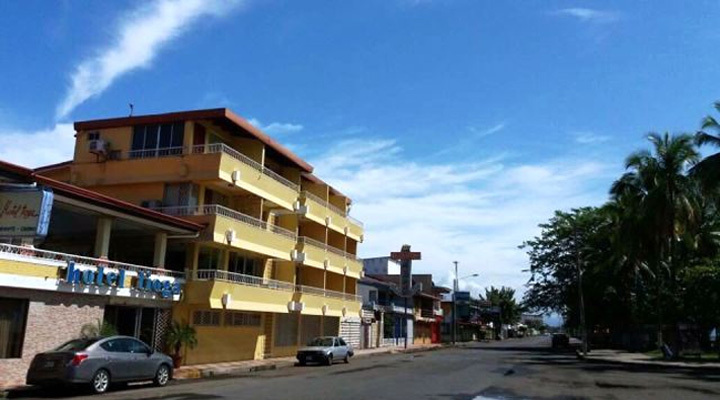 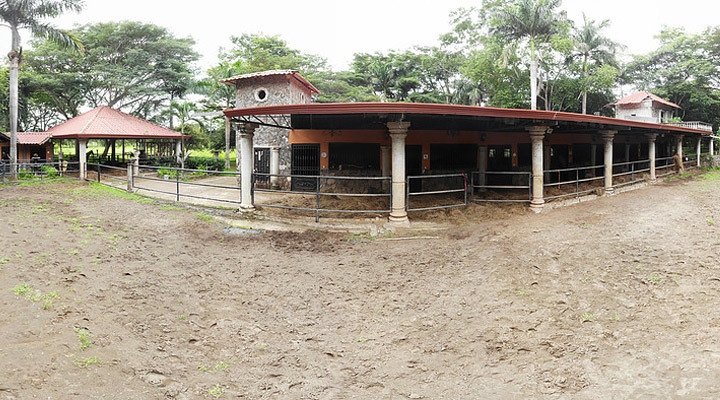 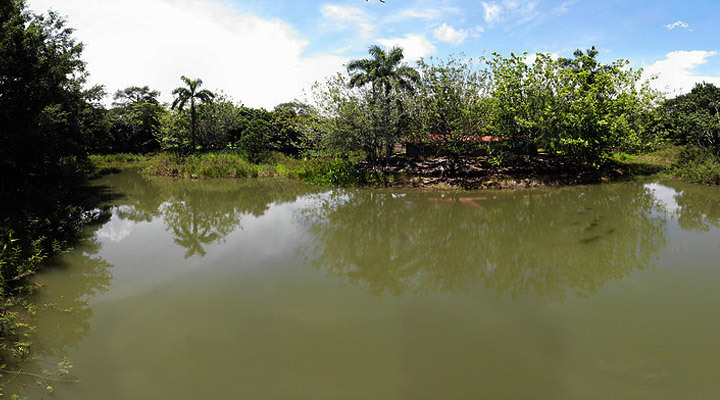 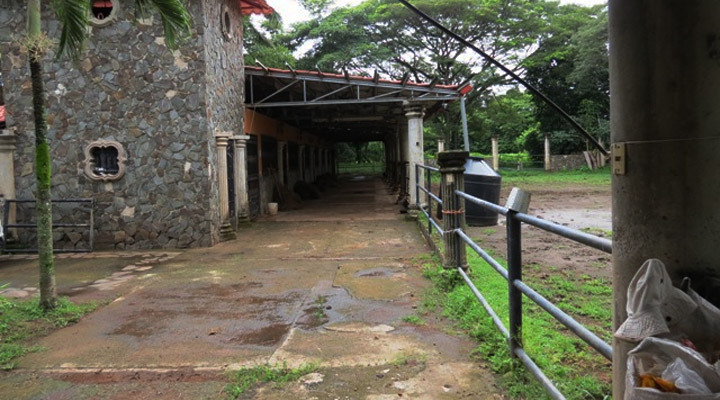 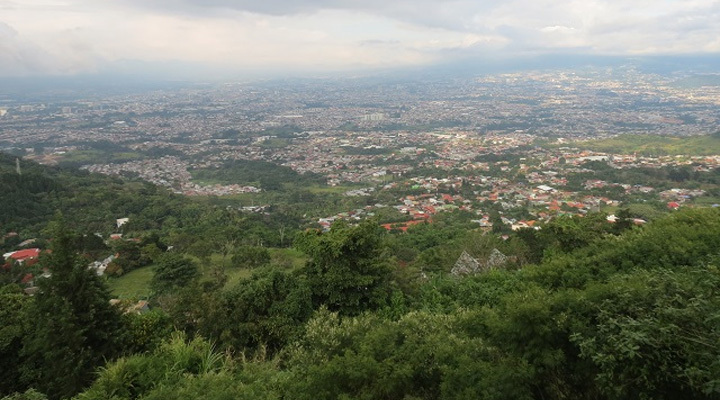 The city of Parrita is a ten-minute drive away and has banks, supermarkets, restaurants, shopping, churches and a medical clinic. 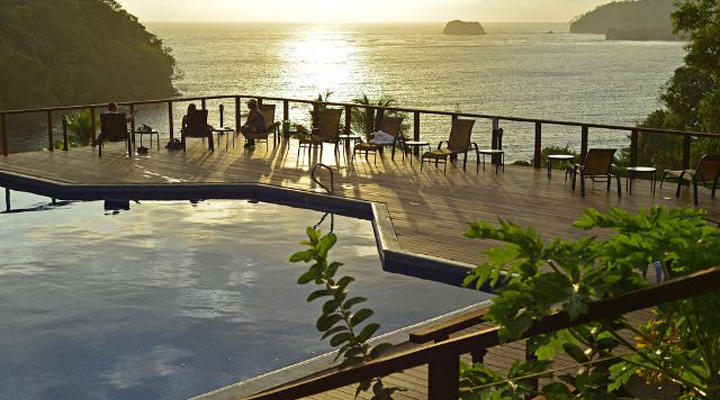 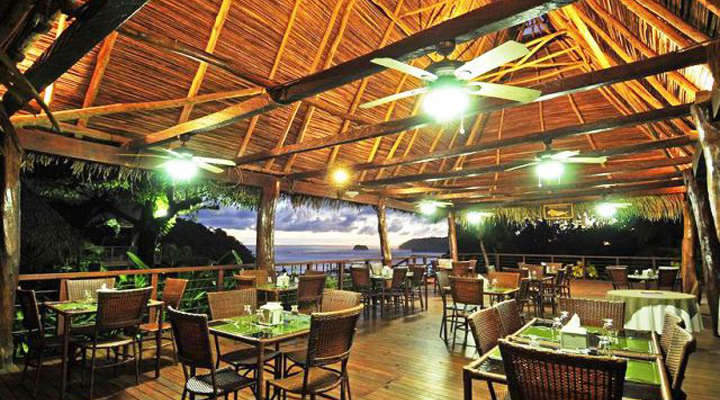 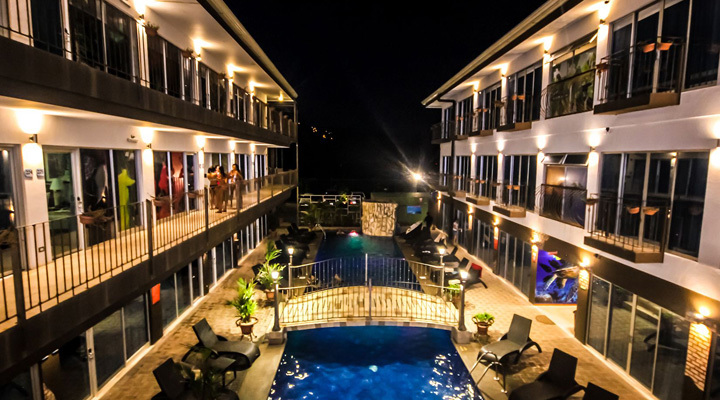 This chain Hotel & Casino located in tropical Quepos; and minutes from Manuel Antonio National Park and steps from the Pacific Ocean. 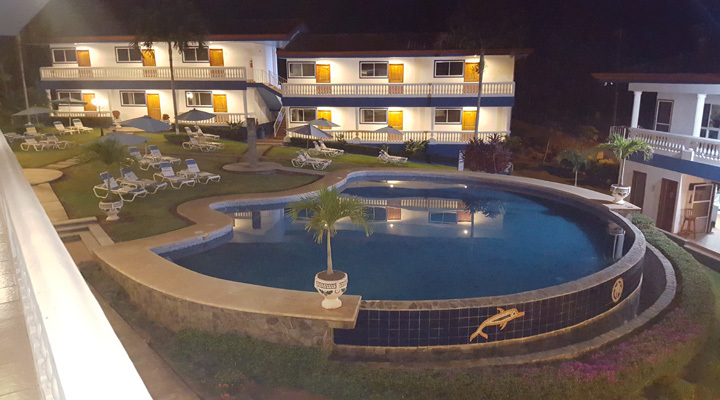 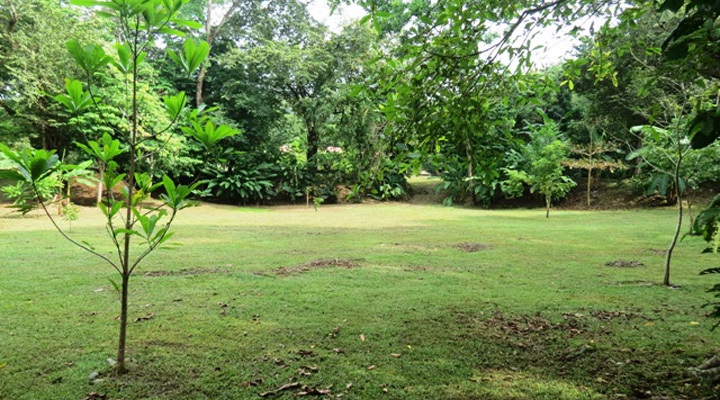 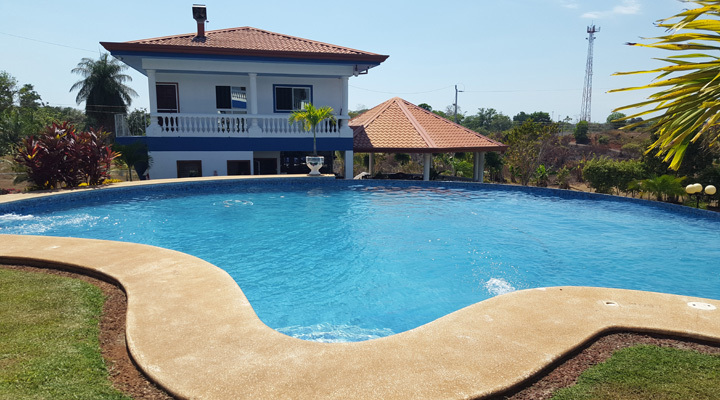 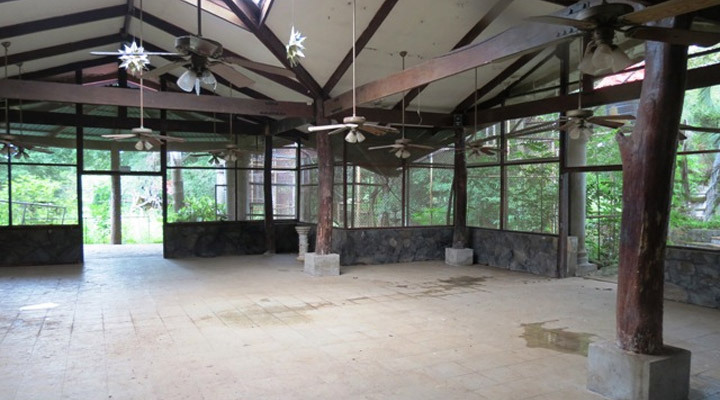 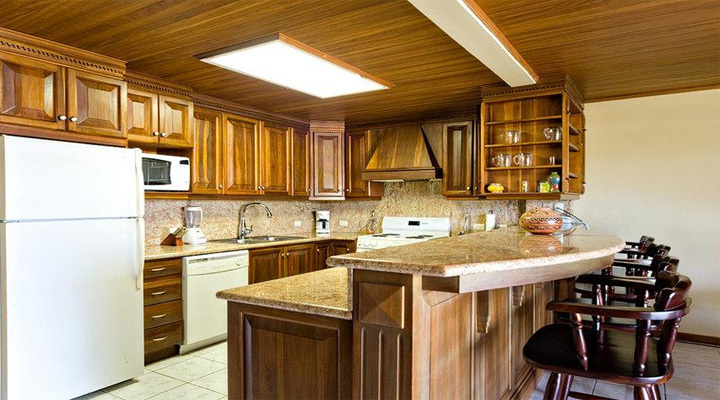 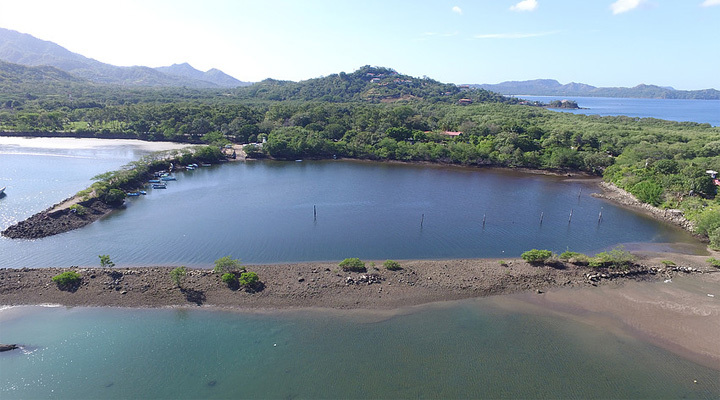 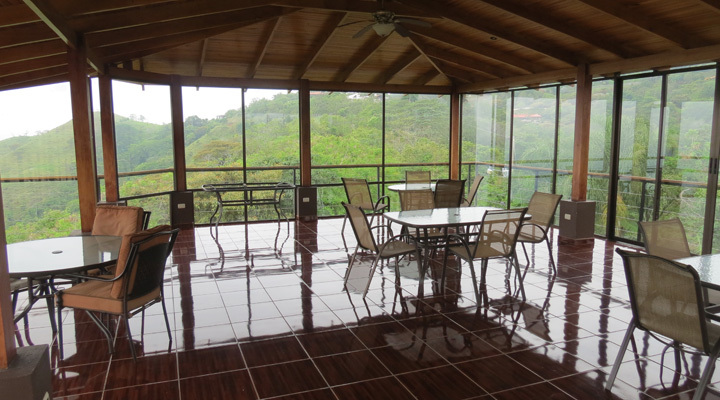 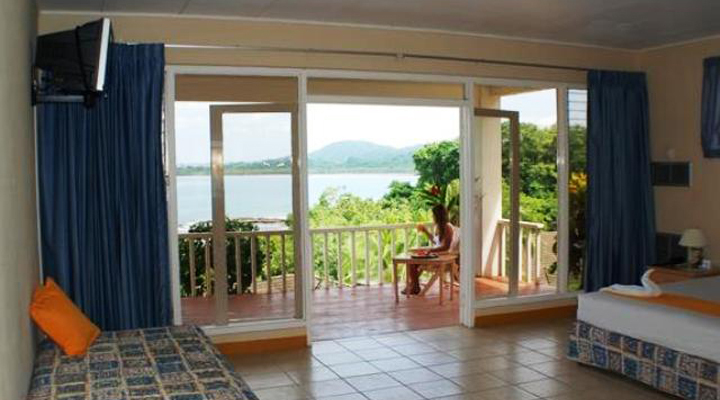 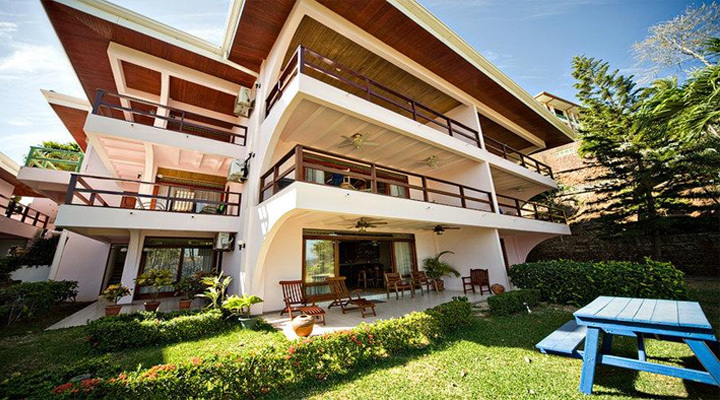 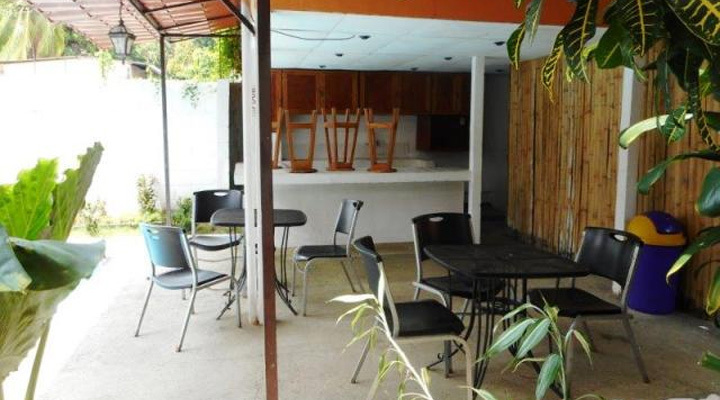 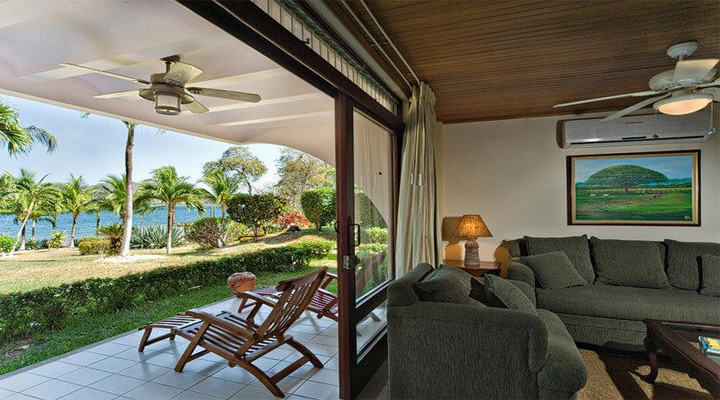 Located near a brand new marina and is located right in the center of Quepos on walking distance to the main centre and boulevard of Quepos. 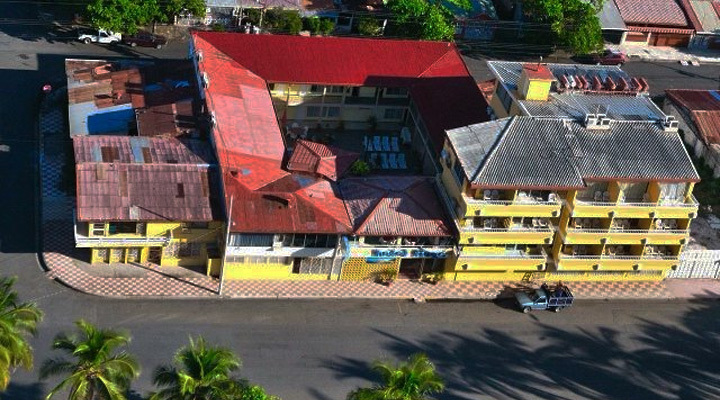 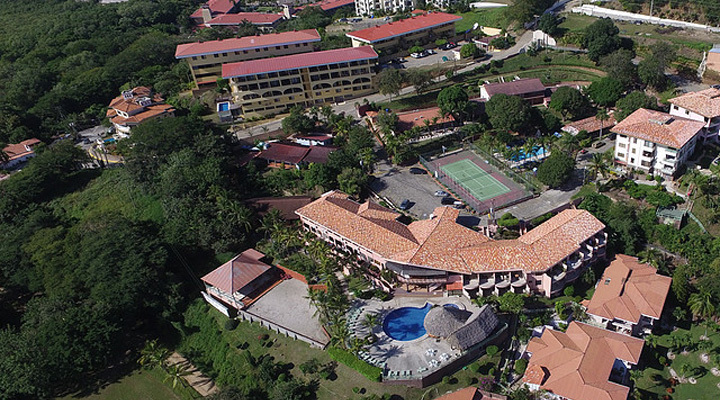 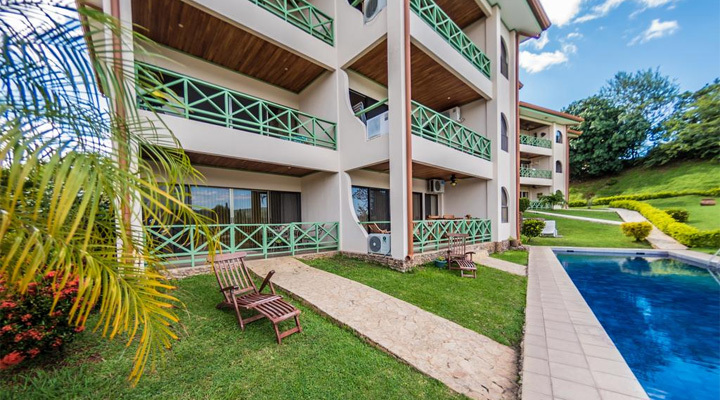 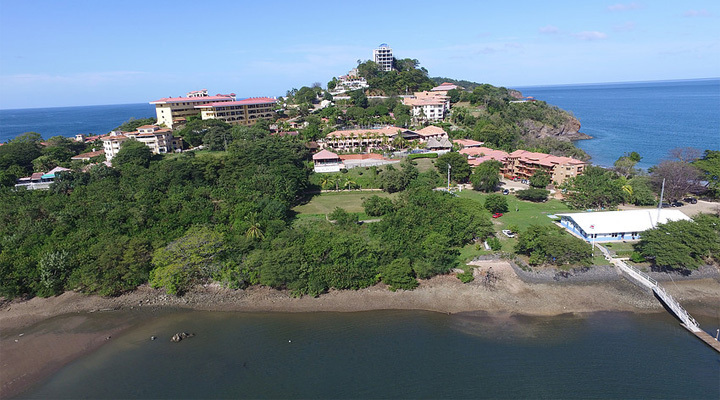 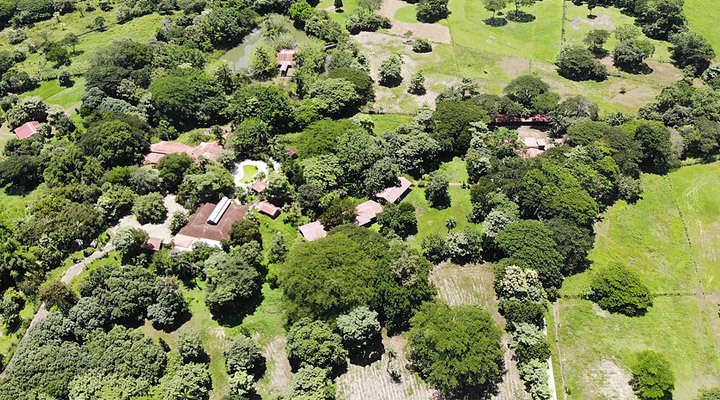 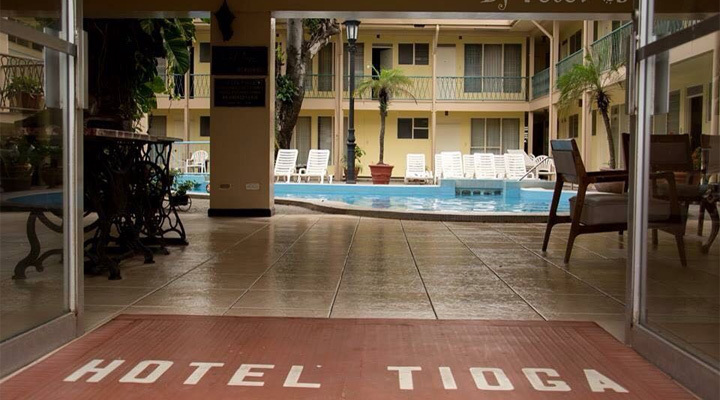 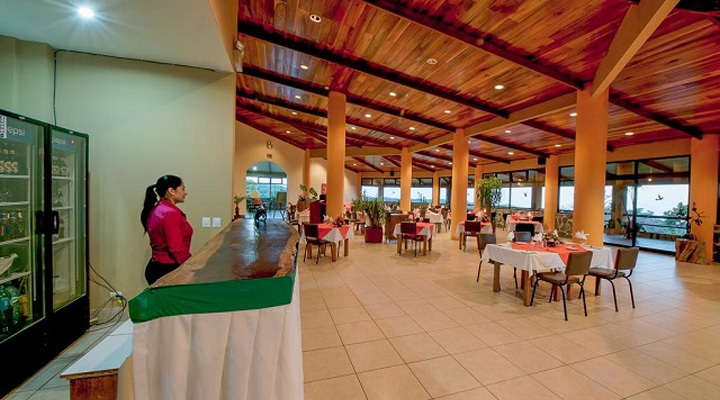 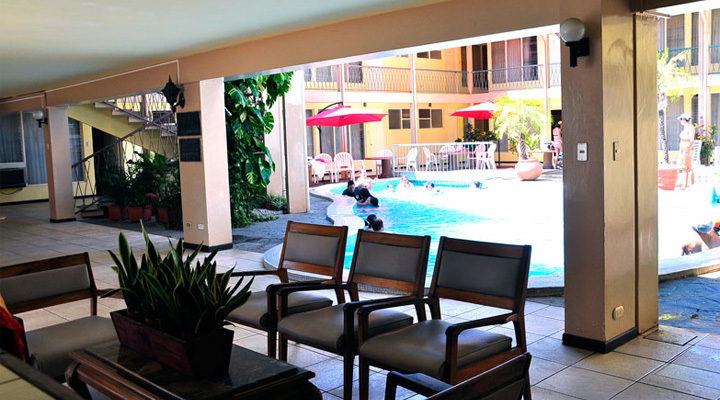 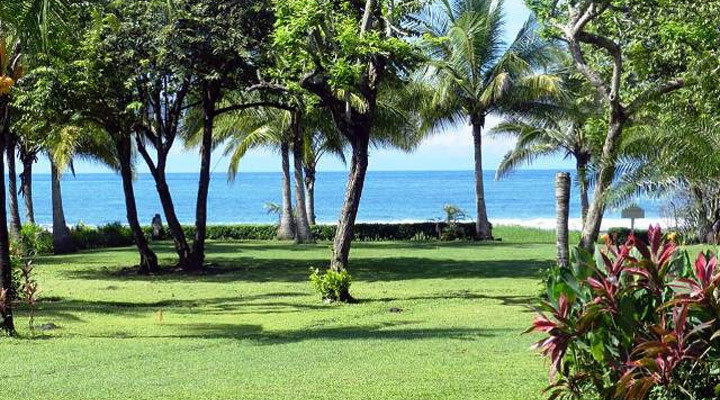 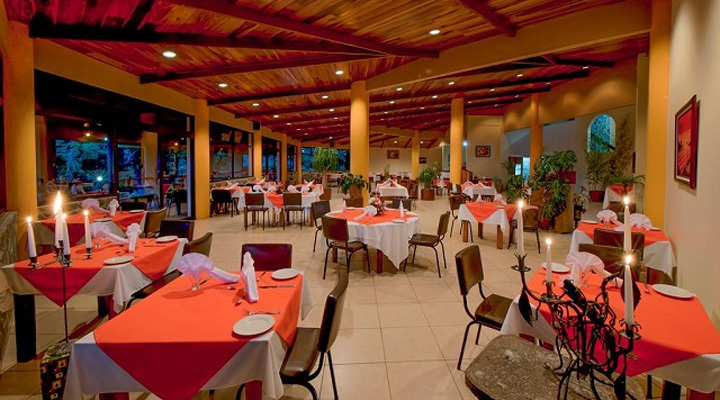 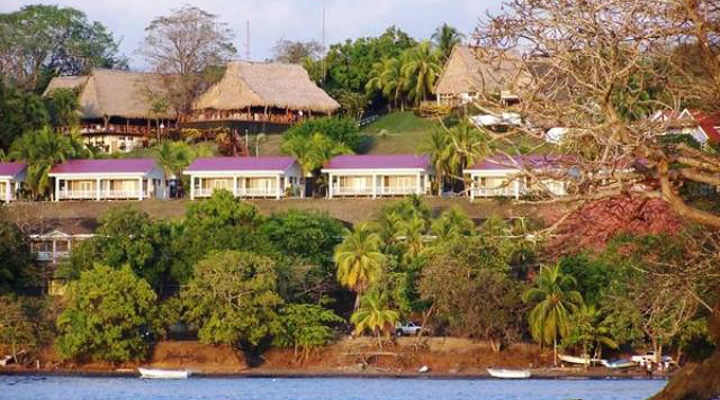 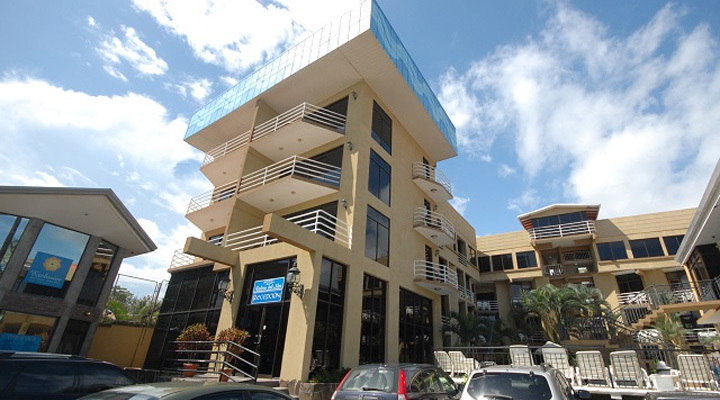 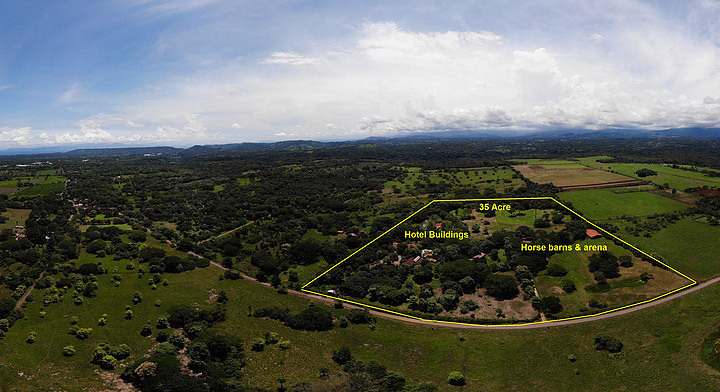 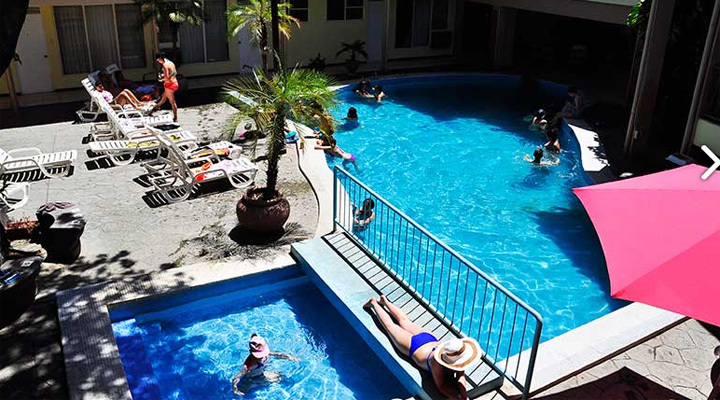 For years it has been the traditional tourist destination of thousands of foreign and Costa Rican families who choose the Hotel Tioga for its familiar and welcoming atmosphere, its strategic location facing the sea, and the proximity of Route 27 to the Greater Metropolitan Area. 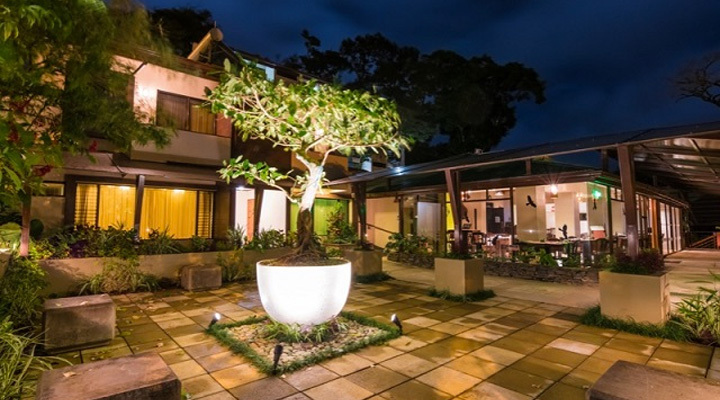 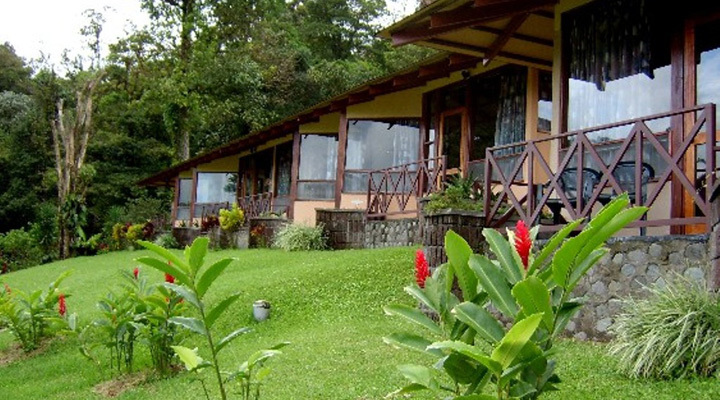 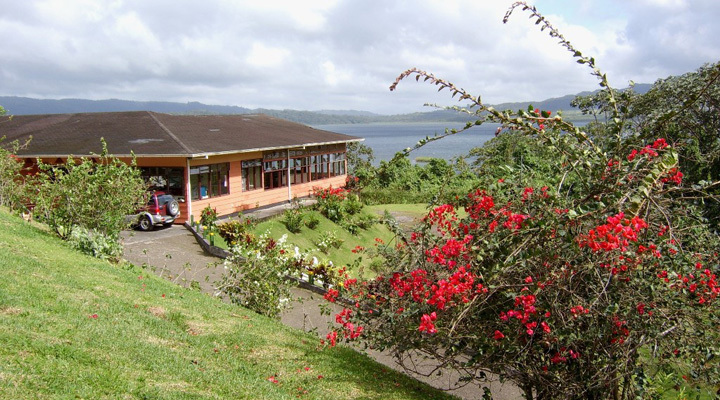 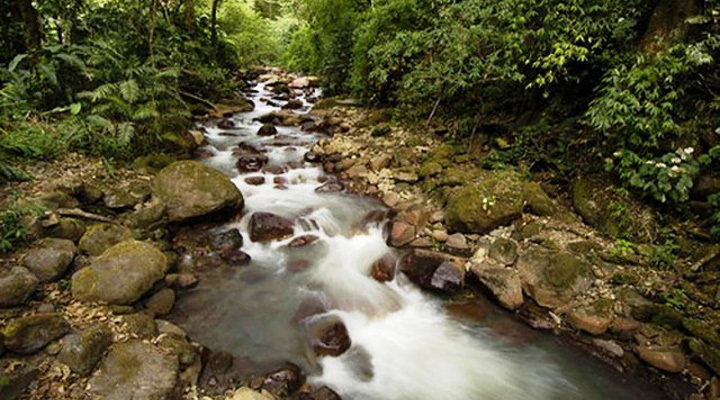 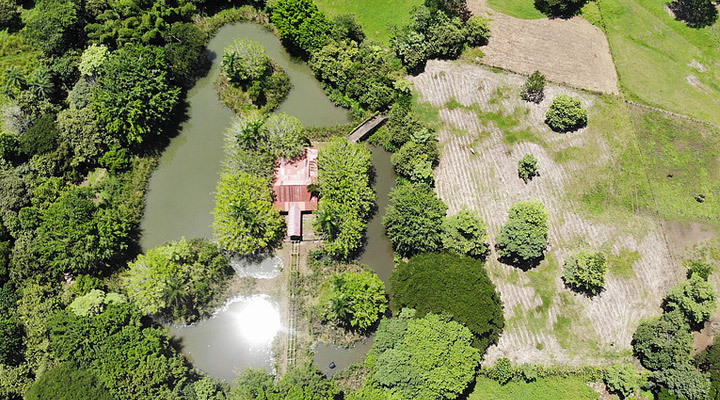 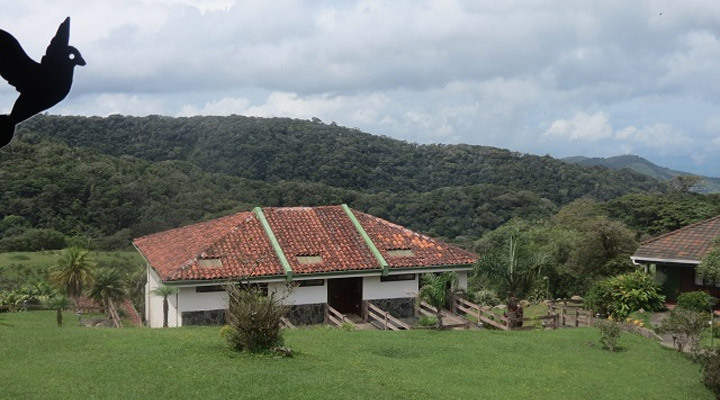 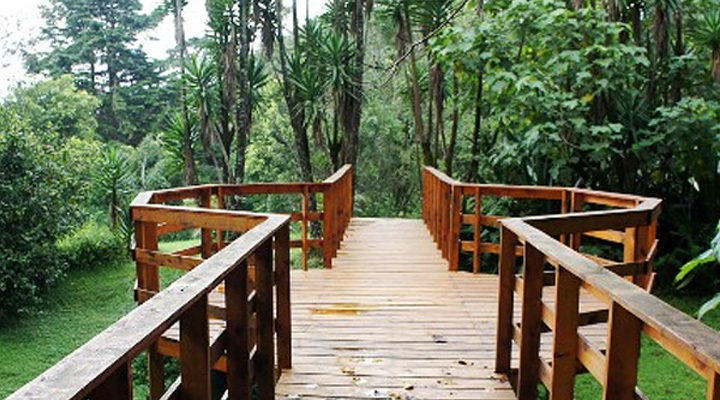 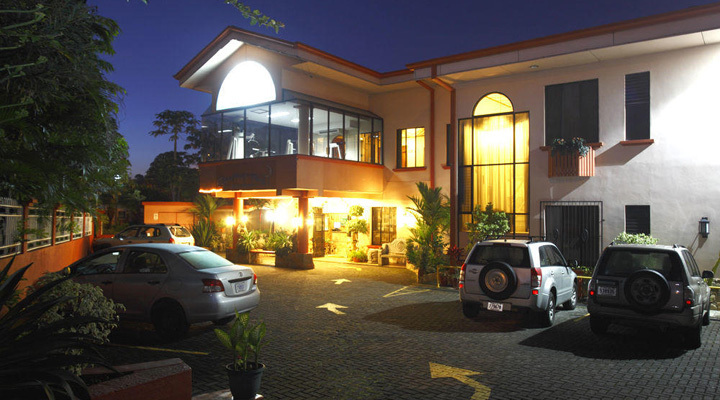 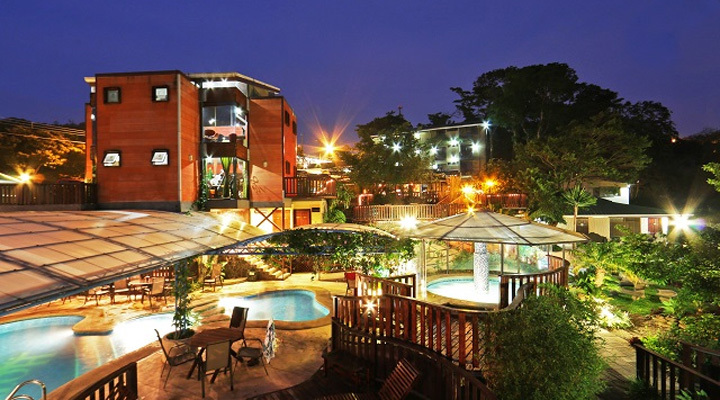 This unique Hotel is located in the Central Pacific located in the Carrara national Park, near the town of Tarcoles and just less than one hour from San Jose. 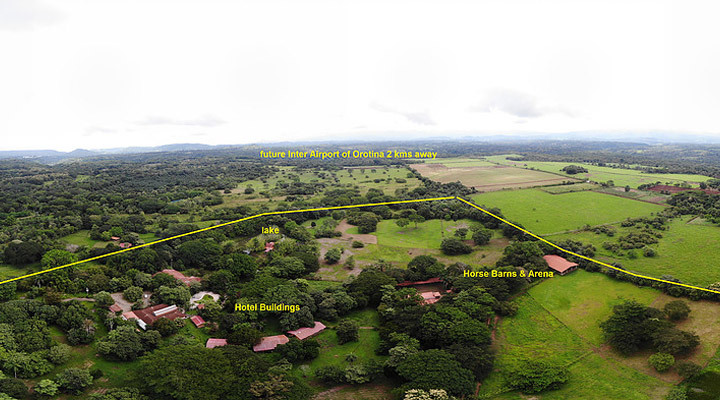 This project : includes 80 room Hotel,with a rustic copy of a authentic village with church , and hanging bridges tour through the jungle. 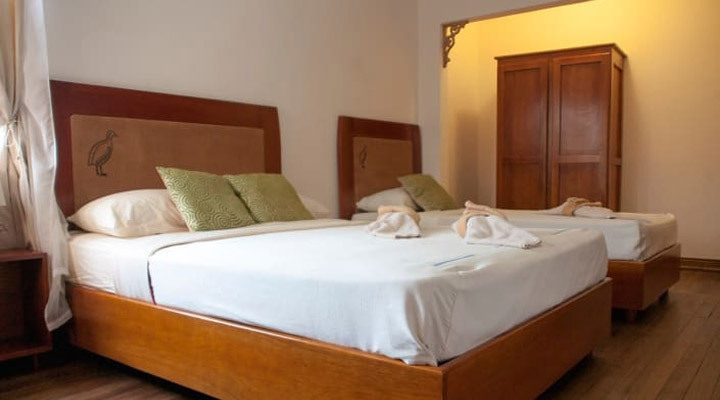 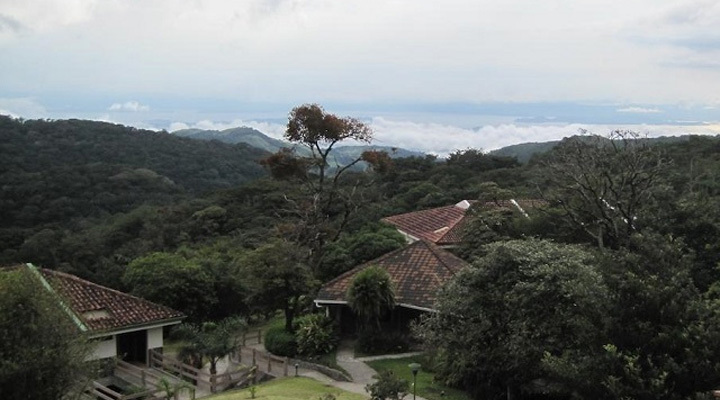 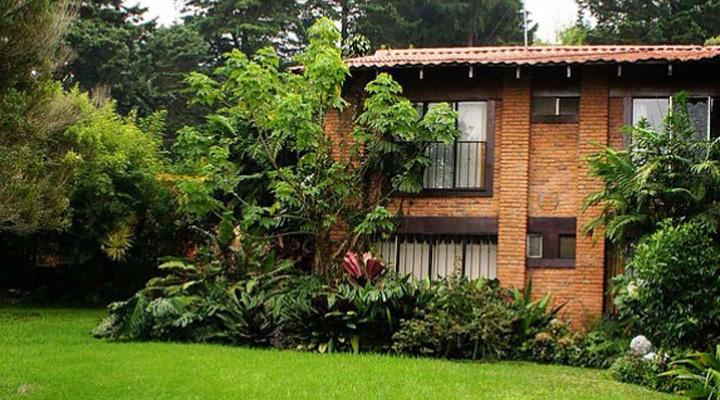 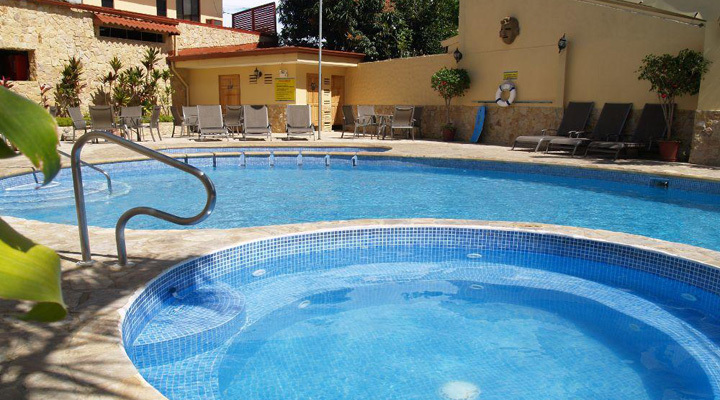 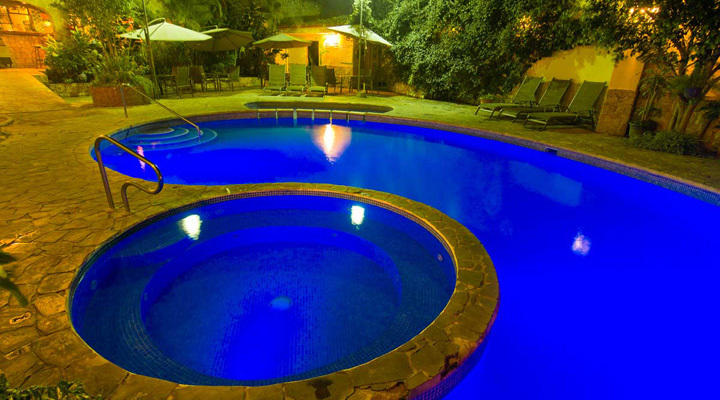 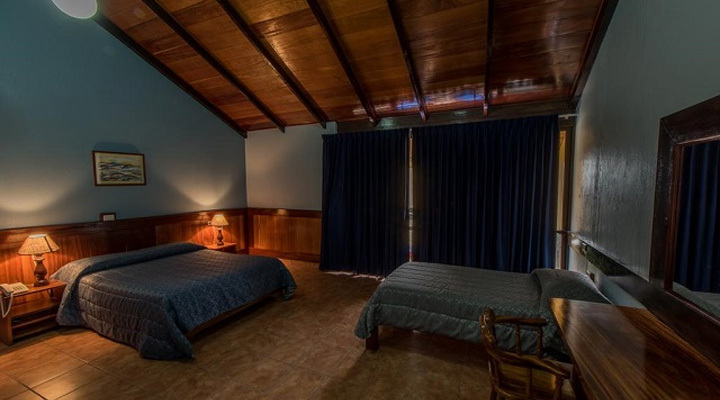 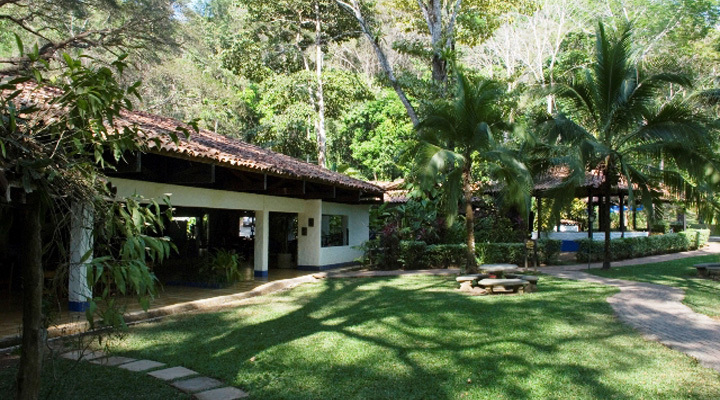 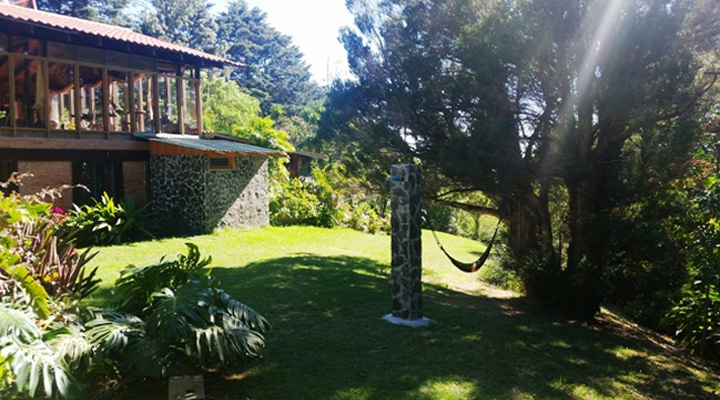 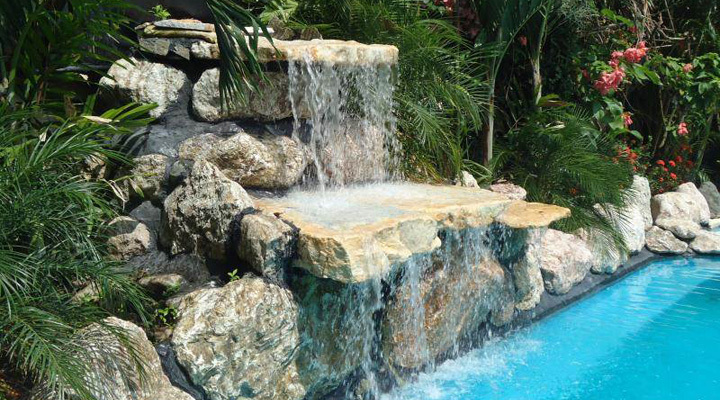 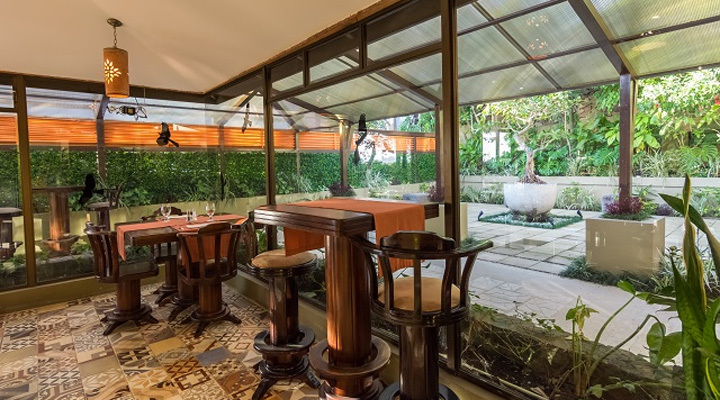 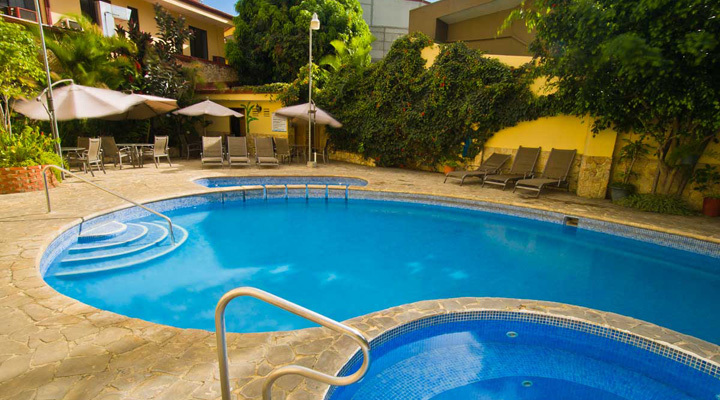 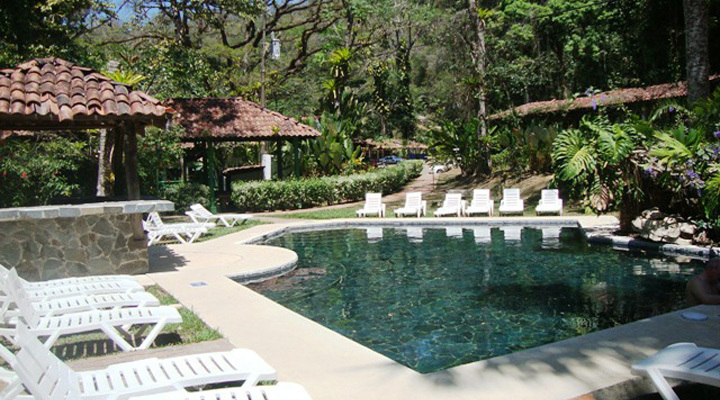 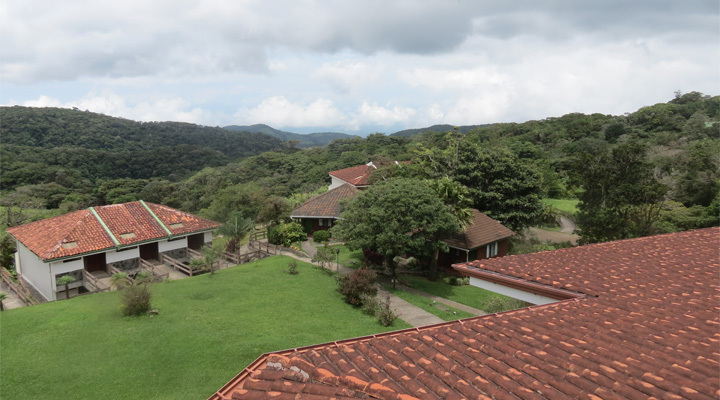 A best value hotel in Monteverde: Guests may enjoy the beautiful, heated, covered swimming pool and Jacuzzi; wet bar, workout room, beautifully kept gardens and common outdoor areas. 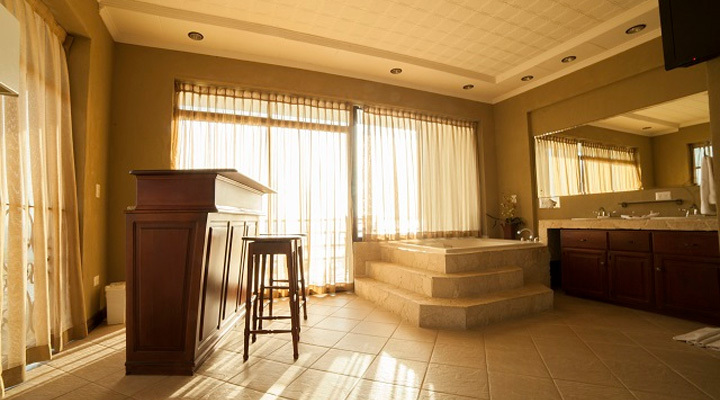 The hotel’s Spa is one of its highlights, with very affordable prices and a more natural style in treatments and products. 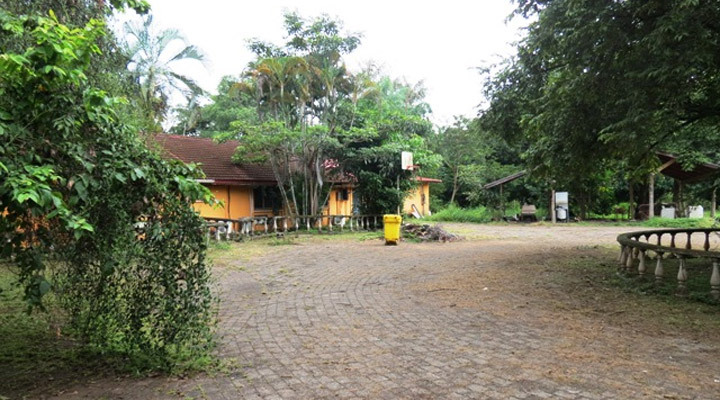 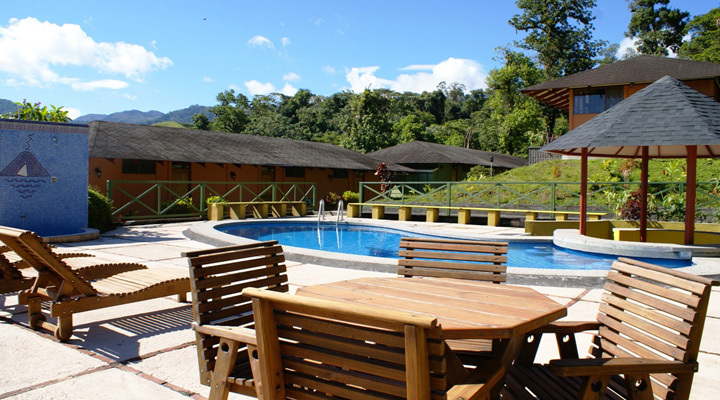 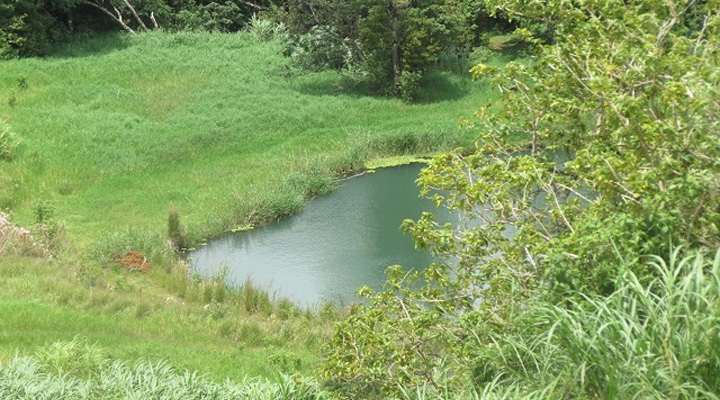 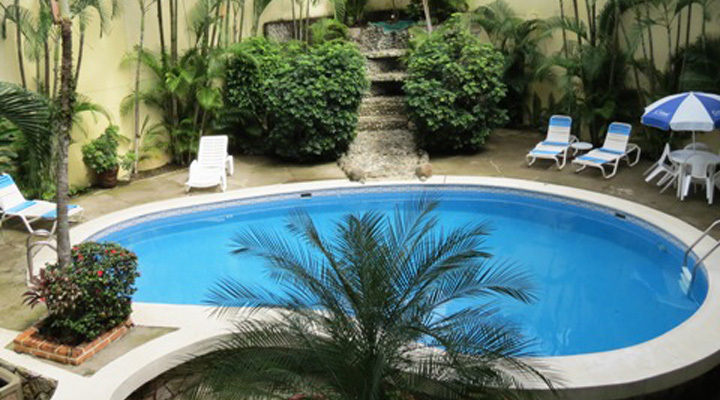 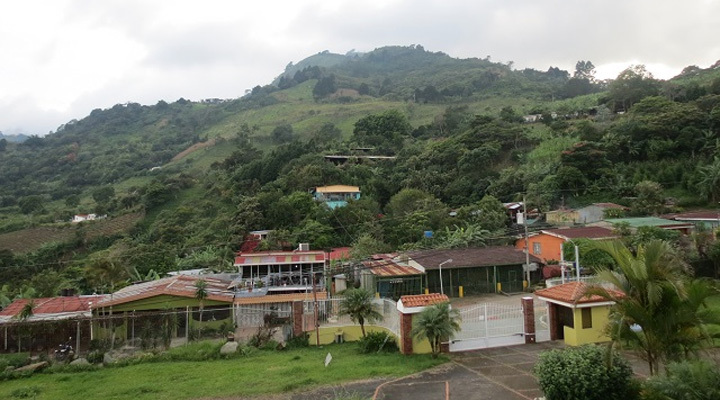 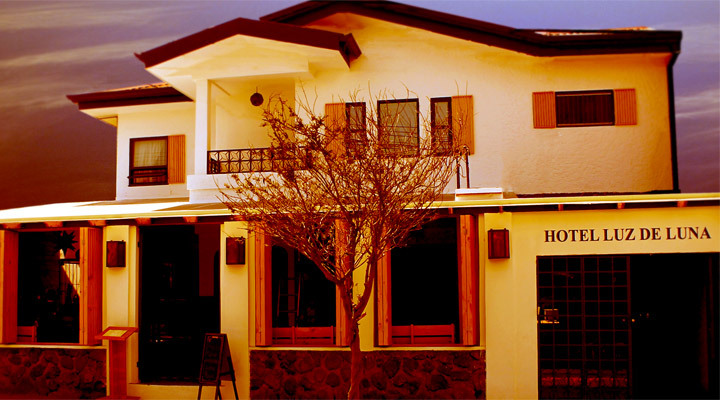 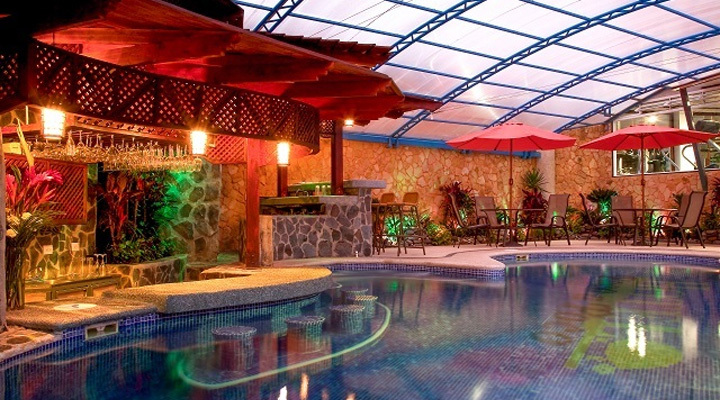 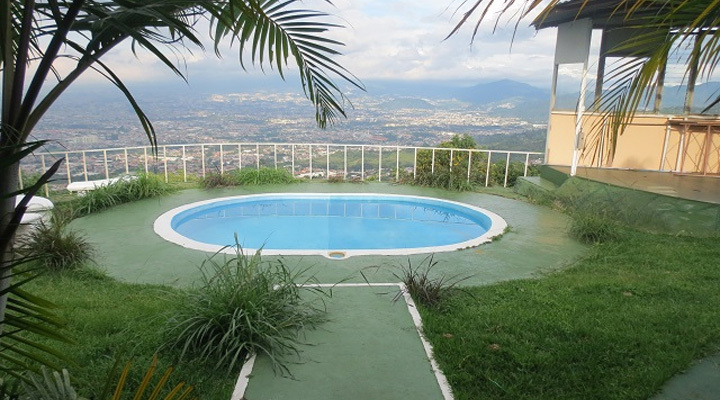 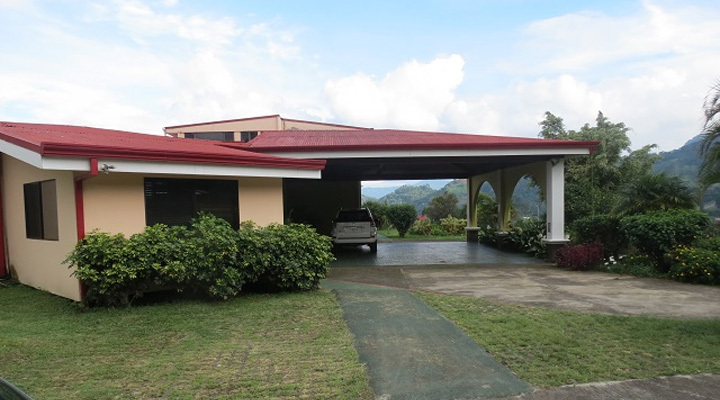 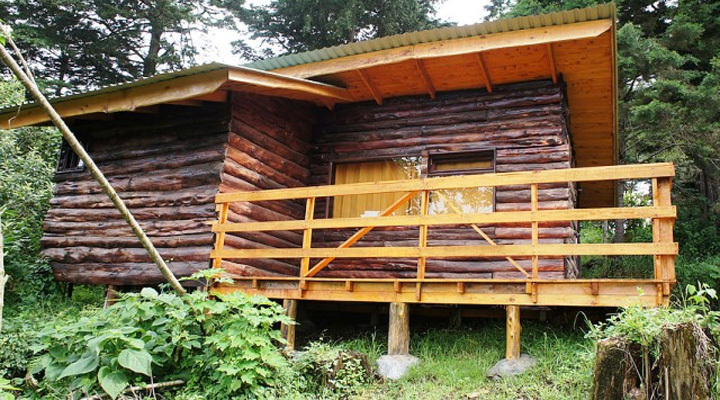 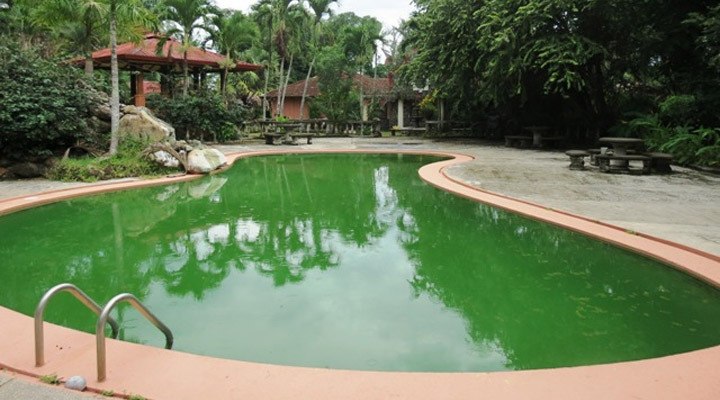 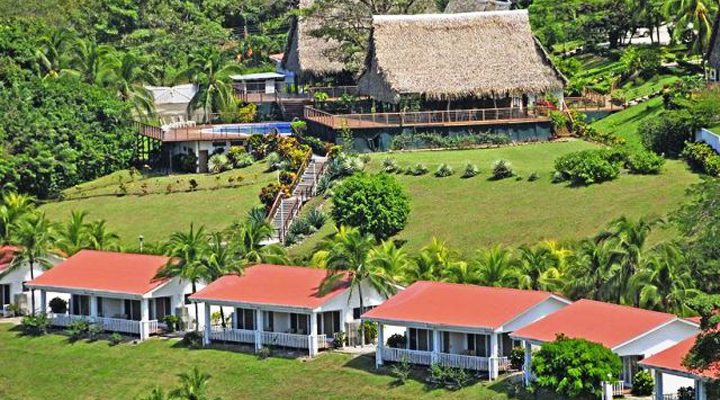 Kid’s play house and pool section provide great entertainment for families traveling to Monteverde.